CIRCLE, the “Mercedes-Benz Circle of Excellence”, is the publication conceived for the exclusive yet continuously growing community of top customers of Mercedes-Benz in the world. It has been redesigned and relauched by Looping Group in 2018 to strengthen the bond of the luxury car brand with the high-end clientele. They receive their personal CIRCLE magazine: in total, 15 thousand copies with one issue per year, published in German and English. The magazine is the essence of sensual luxury, a spectacular immersive experience with one outstanding collaboration per issue: Roger Federer was the first exceptional contributor. 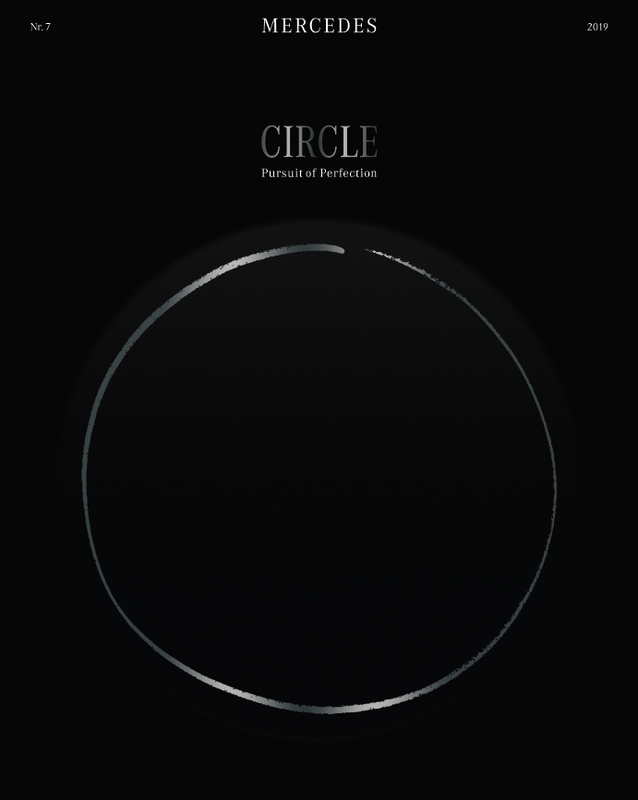 Cesanamedia has been the exclusive representative for Circle magazine in Italy since beginning 2019. She´s Mercedes is an international high-gloss magazine for “female empowerment”. It reaches an exclusive women only community in the world, twice a year, through 190 thousand copies, published in German and English. The female audience, linked to Mercedes-Benz brand, is composed of professionals with high spending power, female entrepreneurs, “women who choose to lead”. She’s gives women a voice, so that they are able talk about their visions, their defeats, their successes. She’s Mercedes community gathers for exclusive events and on the digital platforms. The magazine has been designed and published by Looping Group, a highly innovative German Brand-Publishing House, founded and led by awarded journalists. Cesanamedia has been the exclusive representative for She´s Mercedes in Italy since beginning 2019. 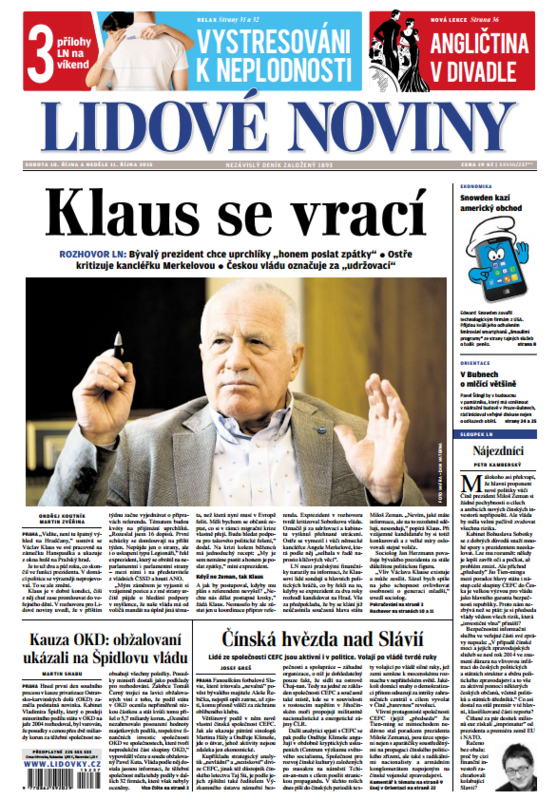 Lidovky.cz is the website of the historical and prestigious daily Czech publication Lidové Noviny. It is highly considered thanks to the famous reporters, writers and intellectuals who are contributors of the newspaper and its site. Cesanamedia has been the exclusive representative for Lidove Noviny in Italy since 2008. The editorial project JUGULAR, a flat screen “manifesto” characterized by a special and innovative layout and a profound connection with design, launched in Autumn ’18, has a vivid online declination. The site hosts peculiar videos which broadens the approach of the paper magazine: an antidote to boredom. Cesanamedia has been the representative for JUGULAR in Italy since the launch in 2018. MRPORTER is the global retail destination for men’s style, combining editorial content and the best in international menswear. 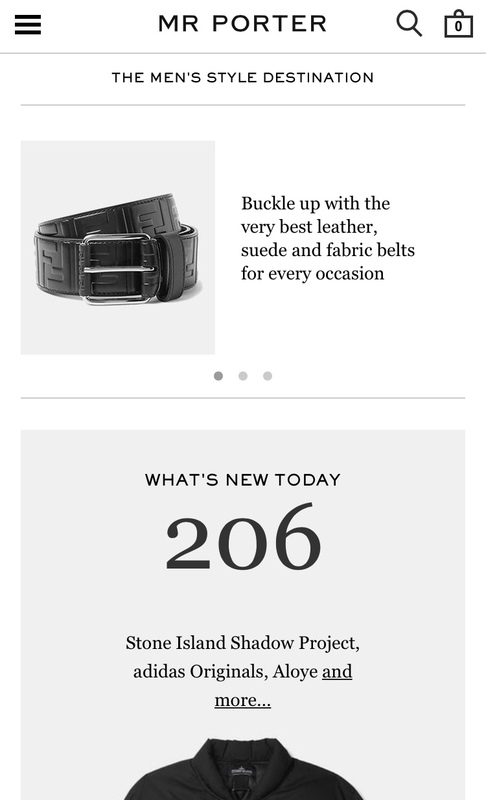 Mrporter.com showcases the leading international designers with content and comments and updates added weekly. Cesanamedia has been the exclusive representative for the publications of YOOX NET-A-PORTER Group since 2013. JUGULAR is an innovative editorial project, dating Fall 2018. The founders – Max Zambelli, photographer, Maurizio Marchiori, among the protagonists of the success of Diesel brand and Lucia Braggion – look at the world through the keyhole of design. Through their bi-annual publication, they “highlight beauty and aesthetics, not just for their decorative value, but as fundamental ingredients for the well-being and enjoyment of the soul”. JUGULAR connects the human aspect of design’s craftsmanship with the virtual world. JUGULAR, with an irreverent approach, talks about unusual aspects of life: vision, architecture, mind expanding, relevant pop culture, sustainability and smart food. It is distributed worldwide in selected concept stores and bookstores and to a list of 500 opinion leaders through direct mail. 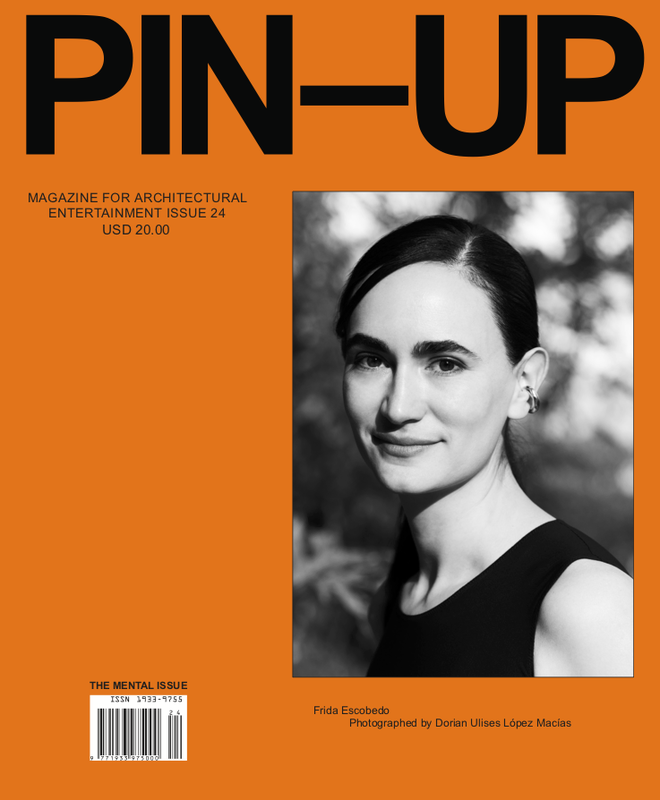 PIN-UP, Magazine for architectural entertainment, captures an architectural spirit rather than focusing on technical design details. Since its launch in November 2006, this biannual publication has set new standards in independent publishing, conveying a fresh, international, and thoroughly contemporary vision of the world of architecture and design. It features interviews with architects, designers and artists and presents content as an informal work in progress. It is available worldwide in major style capitals where it is distributed in quality newsstands as well as in more exclusive outlets. Cesanamedia has been the representative for PIN-UP in Italy since 2013. Musemagazine.it combines a structured presentation of extracts of the magazine with a clear, extremely fluid news section. The website, as a natural evolution of the magazine, provides a comprehensive insight into the current printed issue of the magazine. The Muse website also provides up to the minute, exclusive blog content covering events and exhibitions. In addition, Muse provides complementary access to the magazine’s archive. Cesanamedia has been the exclusive representative in Italy for Muse since 2007. 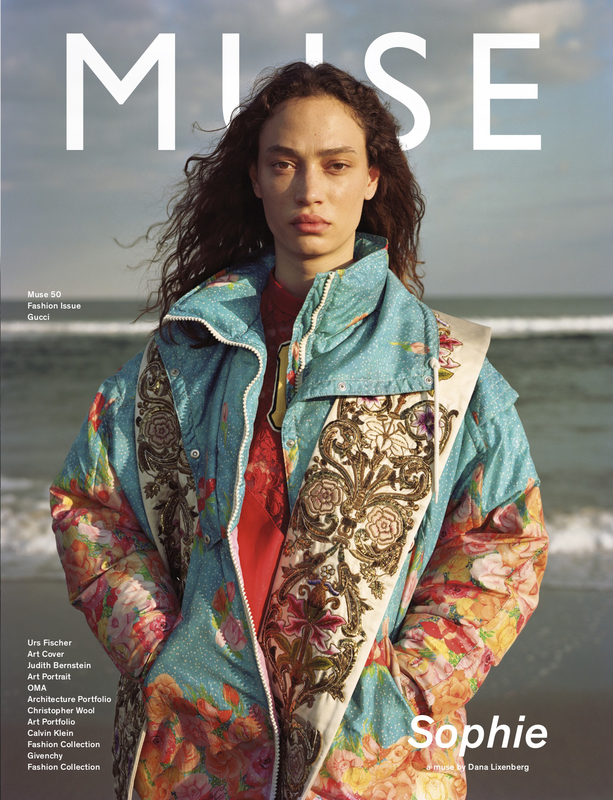 Muse is a magazine dedicated to fashion with three issues per year. 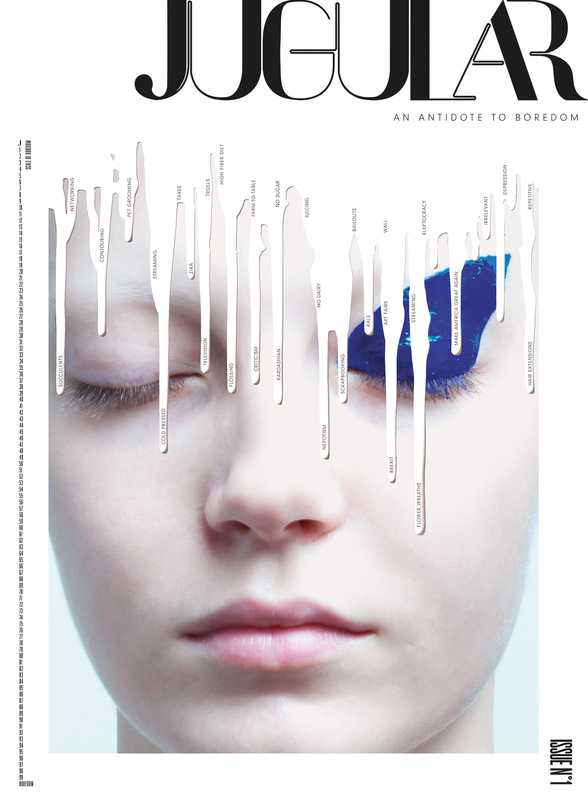 A refined magazine dedicated to fashion, art, beauty, design, photography, cinema, music and visual culture in all its facets. The concept is that of an Italian publication with an international feel, capturing budding trends and “establishing” them in the process. Muse was conceived for an audience constantly seeking beauty. It was devised for a dynamic, cultured and cosmopolitan woman who loves travel and has an eye for fashion, and who has an open attitude towards anything “new”. In 2011 the magazine launched its site and a section dedicated to men. The Post is Mr Porter’s luxury men’s newspaper – printed in tabloid format – featuring style advice and engaging articles by a collection of leading journalists from around the world. It published bi-monthly by The NET-A-PORTER Group. 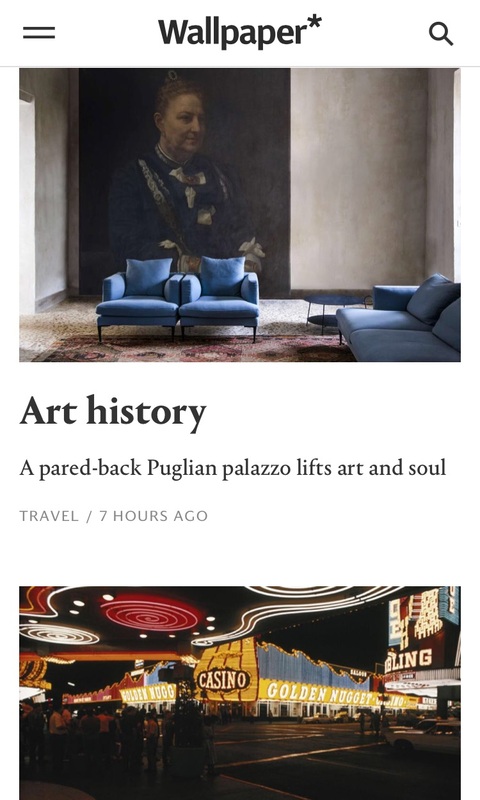 Taking a global view, The Post provides an edited selection of the latest indulgences for the sartorially savvy man, combined with humour and helpful lifestyle content to inform a global male audience on all things luxury. Cesanamedia has been the exclusive representative in Italy for the publications of YOOX NET-A-PORTER Group since 2013. 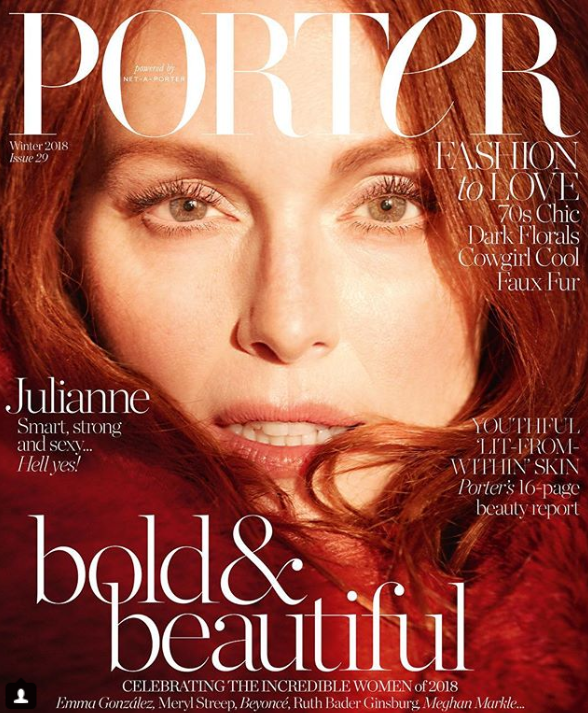 PORTER is the first independent magazine aimed at a wide audience of the group Net-A-Porter.Com. Aimed at stylish and women and about women, it celebrates fashion as art, culture, beauty and travel. 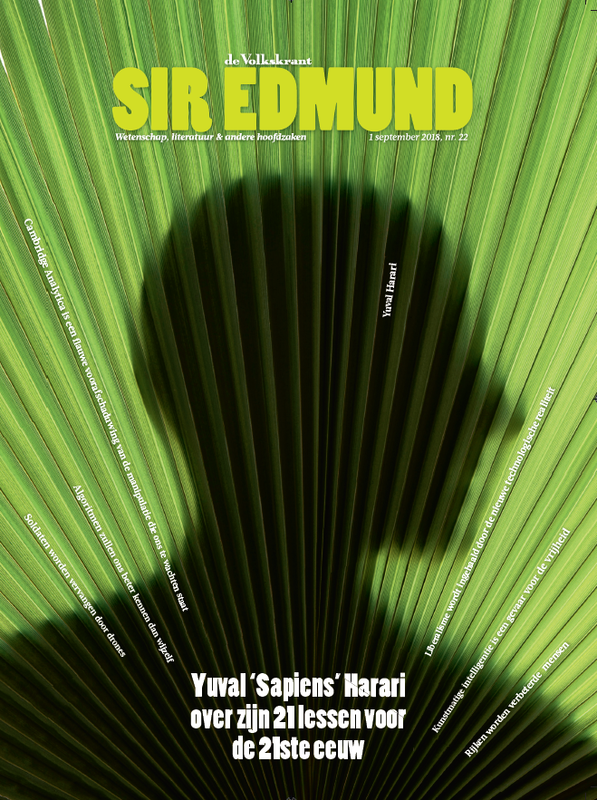 The magazine is published six times a year, with a single global edition in English. International, intelligent and influential, Wallpaper* is the world’s most important design and lifestyle magazine brand. Since 1996, Wallpaper* has attracted a sophisticated global audience by constantly pushing into new creative territories and ensuring that its coverage of everything from architecture to motoring, fashion to travel, interiors to jewellery remains unrivalled. Wallpaper pursues the “digital amplification” strategy through distribution over digital platforms and presence on social media. Cesanamedia has been the exclusive representative for Wallpaper in Italy since 1996. 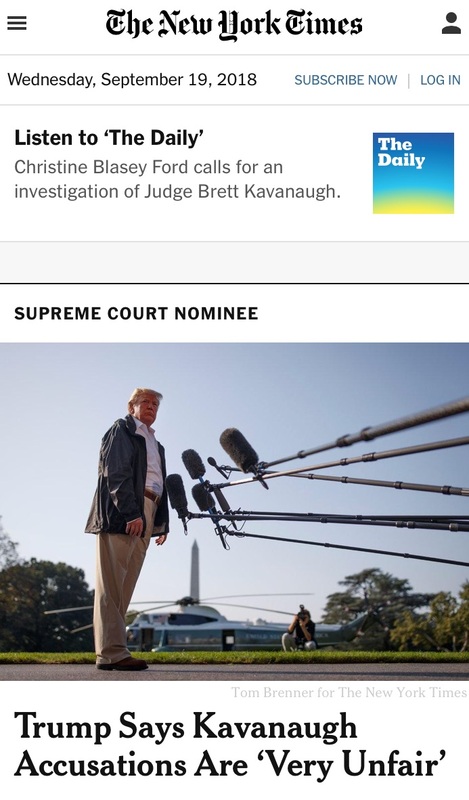 Nytimes.com is the world’s leading newspaper website. It combines the depth and quality of The New York Times journalism with innovative interactivity and engaging multimedia to deliver an unrivaled experience for readers. A unique destination for the global audiences. 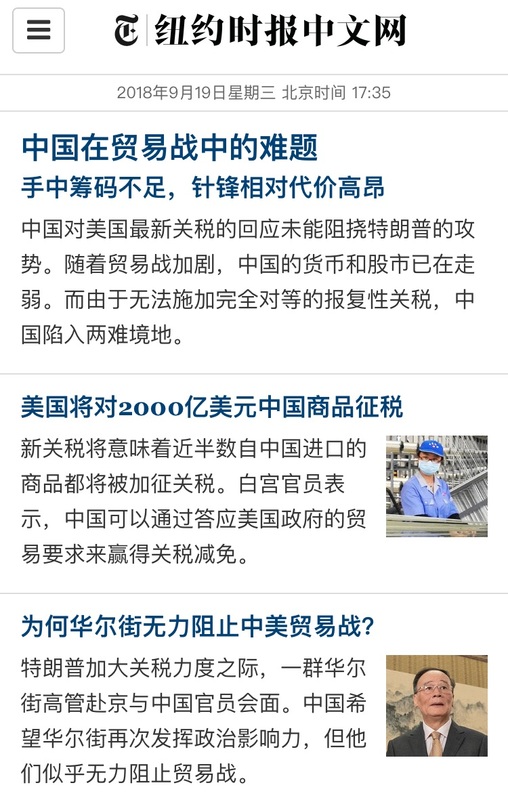 The media company has launched also a site in Chinese and Spanish language with dedicated contents and newsrooms. 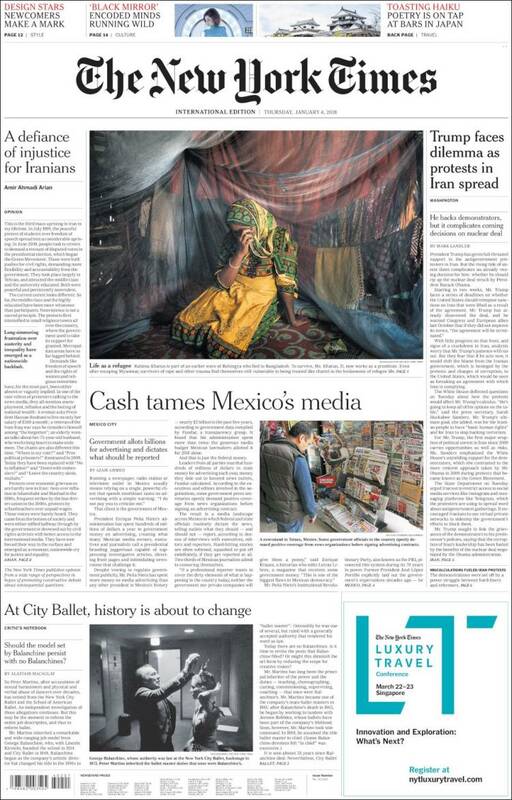 Cesanamedia has been the exclusive representative for The New York Times in Italy since 1999. In October 2016 a redesigned, improved and more relevant print newspaper for international audience, branded The New York Times International Edition has been issued – former International Herald Tribune. It has more international news content and an increased focus on deep, analytical pieces along with more enterprise stories in style, culture, technology, travel and other topics relevant to international audiences. It represents the most global news brand and a rich complement to the single digital presence at nytimes.com. Cesanamedia has been the exclusive representative in Italy for The New York Times since 2003. Launched in 2006, wallpaper.com is the key site for global travellers interested in design, architecture, fashion, travel and lifestyle. 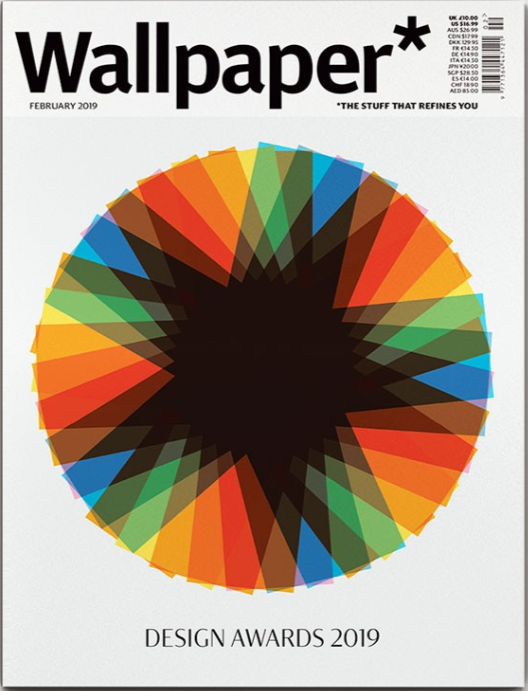 Wallpaper pursues the “digital amplification” strategy through distribution over digital platforms and presence on social media. The magazine, point of reference for French female audience for fashion, beauty and lifestyle, was launched in Japan in 1990 as a monthly publication. 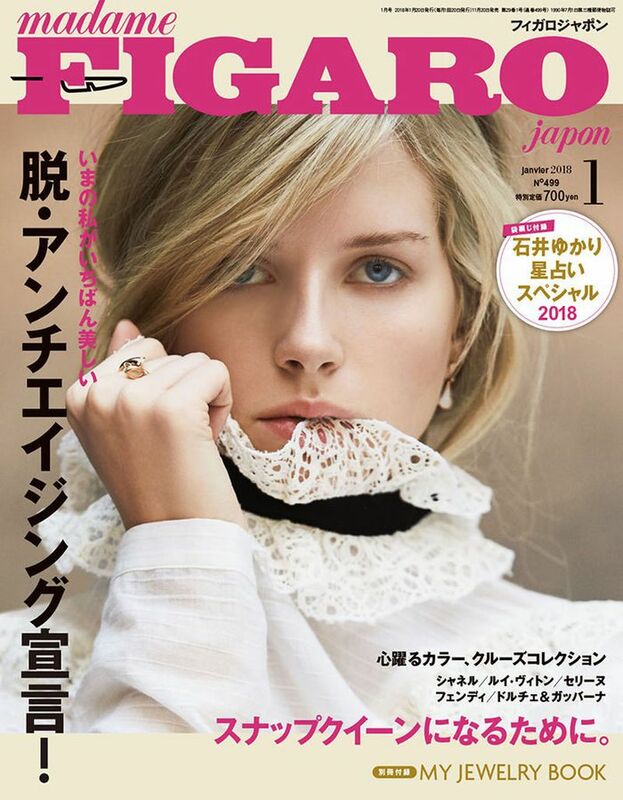 Madame Figaro Japan, conceived and adjusted according to local taste and needs, is highly appreciated by Japanese readers open to international trends and style. It is available in several digital formats: website, app, social media and “mook”, a cross between magazine and book. Cesanamedia has been the exclusive representative for Figaro Group in Italy since 2005. 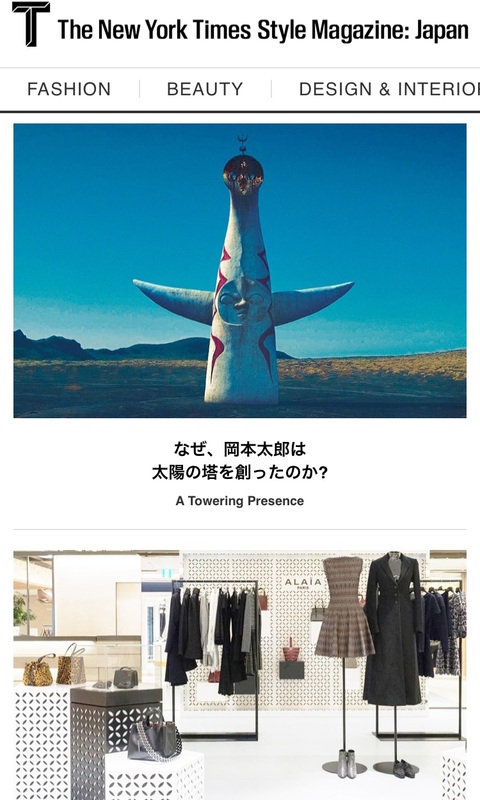 Tjapan.jp combines original, regional content with translated coverage, photographs and commentary from the flagship digital edition of T Magazine. 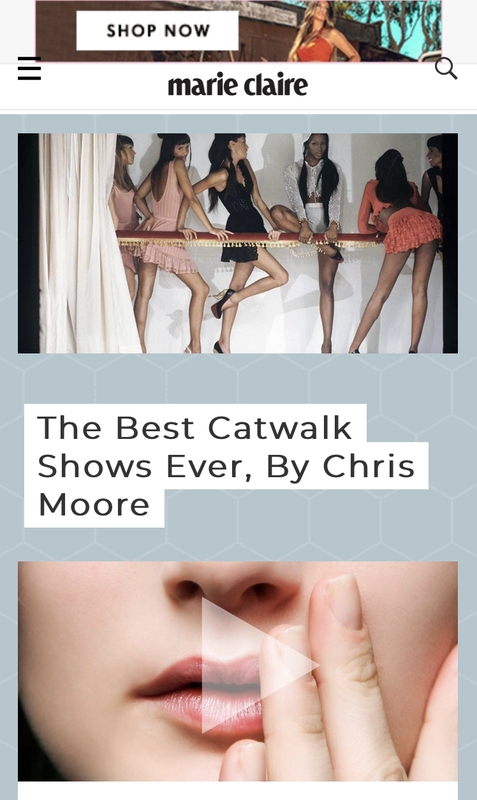 It covers seven genres: fashion, beauty, design, interior, arts, travel and entertainment, conveyed through intelligent and high-quality content and striking images. Cesanamedia has been the exclusive representative for T Japan since the launch in March 2015. 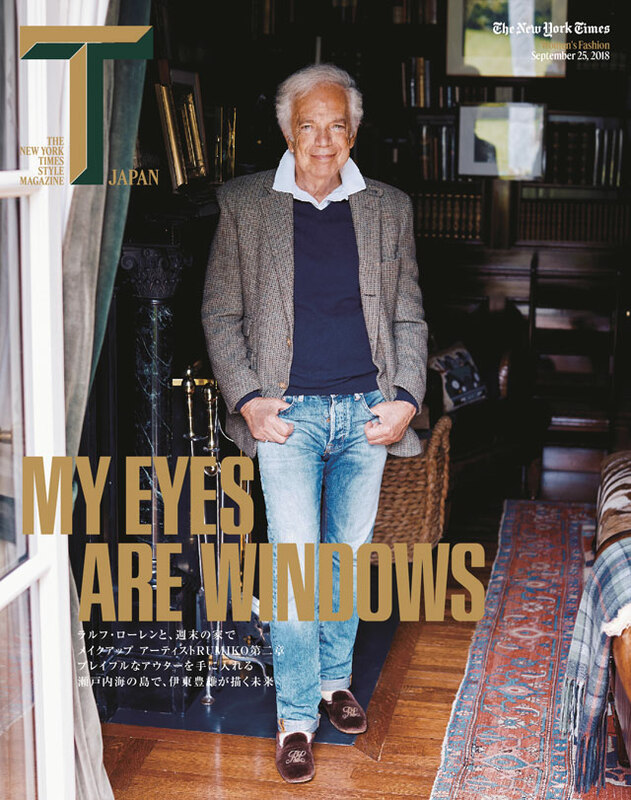 The Japan edition of The New York Times Style Magazine is published by The Asahi Shimbun Company, one of the oldest and largest publishing houses in Japan. Shueisha Inc., another major publisher in Japan, collaborates with The Asahi Shimbun Company on T Japan under a sublicense. The Japanese-language magazine is published four times per year and distributed throughout the Tokyo metropolitan region. T Japan combines original, regional content with translated coverage, photographs and commentary from the flagship edition of T Magazine US. Aera English is the monthly edition of Aera in English language. It features general culture articles for the Japanese who are interested in broad topics and global issues. Cesanamedia has been the exclusive representative for Asahi Shimbun in Italy since 2006. 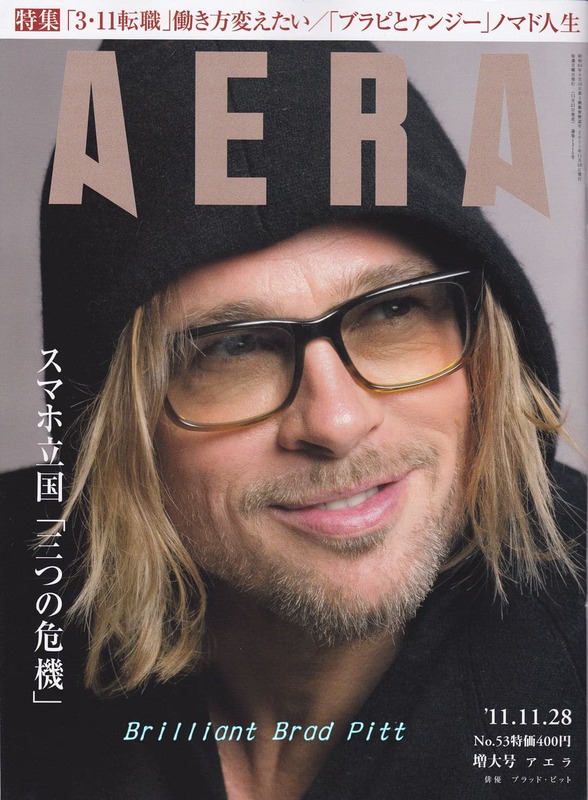 Published since May 1988, Aera is the weekly information magazine for urban audience groups in large cities. It is published on Mondays and features current affairs, fashion, culture and entertainment, with specific attention to its graphic layout. Shukan Asahi was the first weekly launched in Japan. It is the reference magazine at a national level, thanks to comprehensive and quality editorial coverage. Cesanamedia has been the exclusive representative for Asahi Shimbun in Italy since 2006. 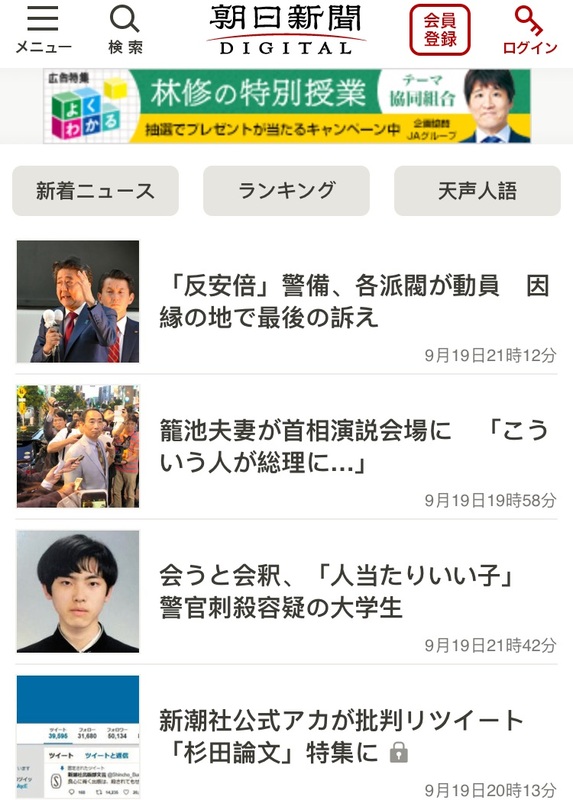 Asahi.com is the website of one of the most important Japanese newspapers. It targets affluent readers with a high cultural level and opinion leaders. 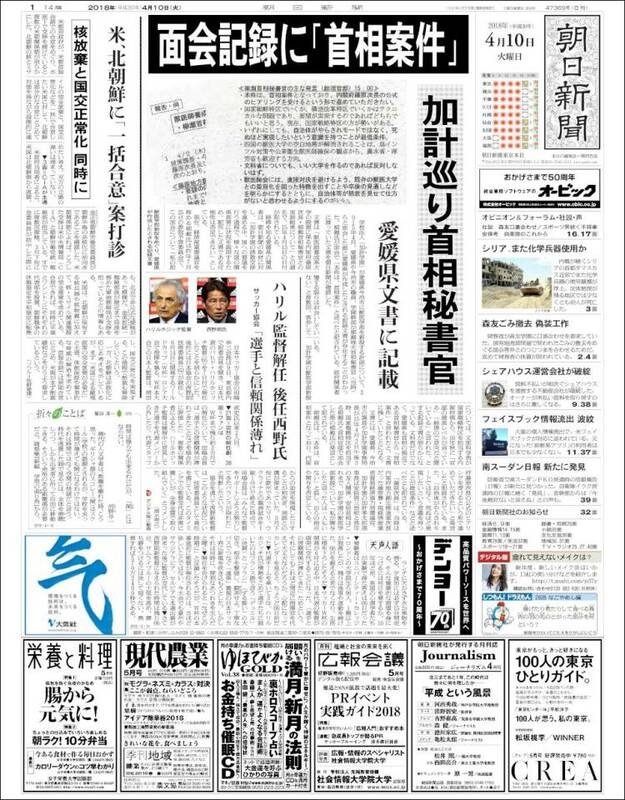 The Asahi Shimbun is published in Japan by The Asahi Shimbun Company. From its first edition in 1879 to date, it has reached a prestigious position and is the second most-read in the country. It has two daily editions – morning and evening – and five regional editions: Tokyo, Osaka, Seibu, Nagoya and Hokkaido. Over 90% of readers have a subscription. The newspaper is attached twice a week with the supplement Be, covering business and entertainment, science, technology and lifestyle. Stil Leben, the exclusive publication of Süddeutsche Zeitung Magazin, considers only the finer things of life and the most relevant and exceptional personalities, art works, trends and destinations. Stil Leben “China Issue” celebrates Germany as a travel destination, offering interesting information about the culture, economics plus travel tips, shopping inspirations and design. It targets Chinese tourists and business travelers entering Germany via Frankfurt and Munich airport. The magazine is issued in April; it is available until October in the lounge at the airport and handed over personally on peak travel days. Cesanamedia has been the exclusive representative for Süddeutsche Zeitung in Italy since 2003. Launched successfully by the team of the daily Le Figaro, figarochic.cn is the digital version of the print publication Figaro Chic China. It is a special edition entirely in Chinese, an authoritative and sophisticated guide to Paris dedicated to Chinese visitors. 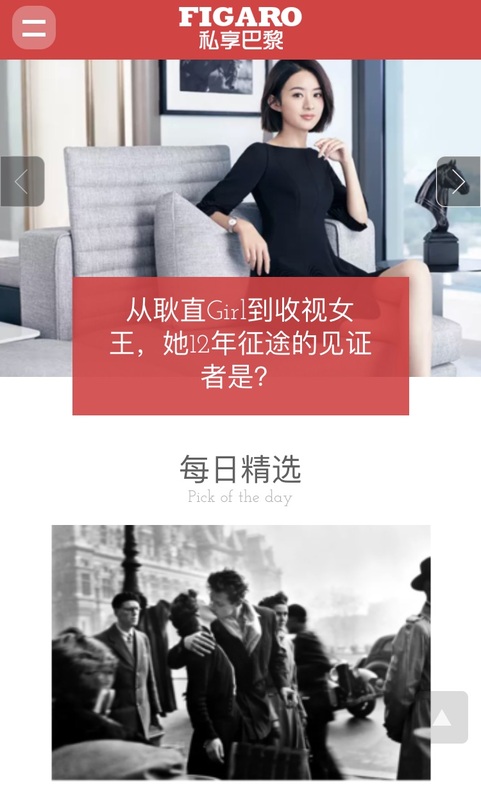 Figaro Chic is the Only French Media who has its own WeChat account. 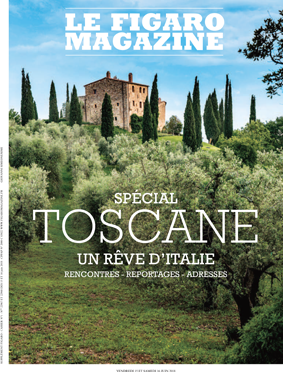 Cesanamedia has been the exclusive representative for Le Figaro group in Italy since 2005. Cn.nytimes.com was launched in June 2012. The site covers China and Asia throughout. The site is edited specifically for readers in China and presents original work from Chinese journalists and columnists writing for The Times alongside translations of the best of The Times’s English reporting. It is one of the recent and successful projects by Le Figaro group. Special edition entirely in Chinese, an authoritative and sophisticated guide to Paris dedicated to Chinese visitors. Printed in large format on glossy paper. 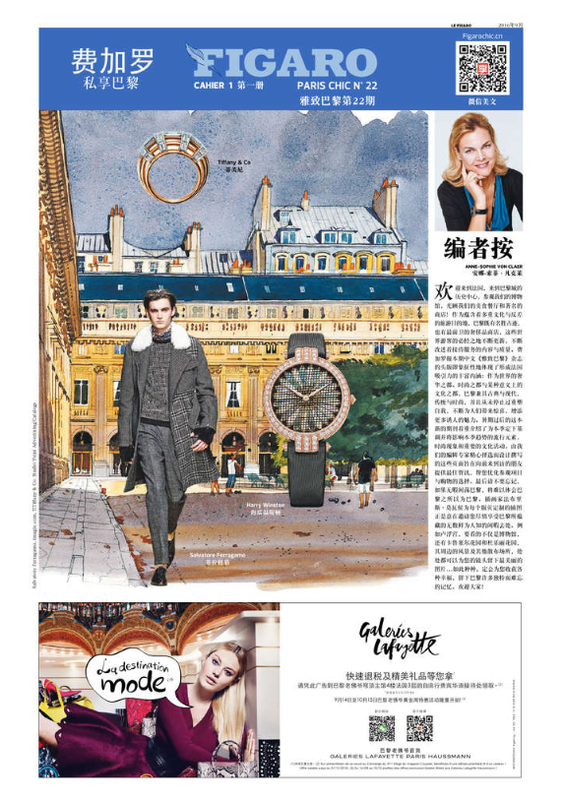 Edited by the daily Le Figaro, published two times a year, it is distributed in China and Paris through targeted channels such as specialized travel agencies, on business and first class flights and luxury hotels. 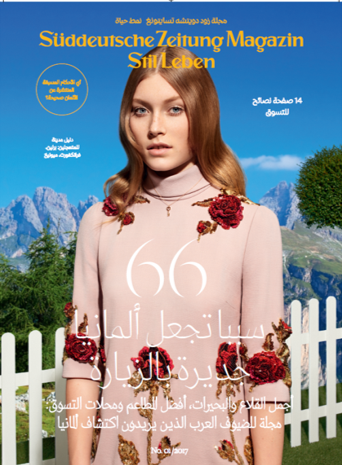 The Arabic edition of Stil Leben celebrates Munich as a travel destination as for culture, tradition and way of life. The target readership are Arab tourists and business travelers entering Germany via Munich and Frankfurt airport. The magazine is issued in June and it is available until September in the lounge at the airport and handed over personally on peak travel days. Style, award-winning magazine, supplement to the daily Khaleej Times, presents a take on everything from fashion to high culture, offering the big stories behind the news, the most desired interiors and recipes from famous chefs. Cesanamedia has been the exclusive representative for Kahleej Times in Italy since 2008. 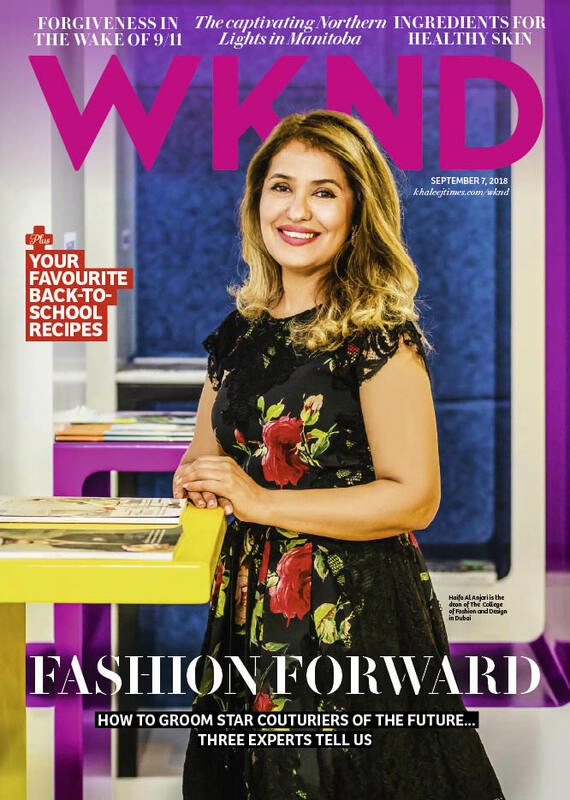 Weekend Magazine, WKND: this is a weekly supplement to Khaleej Times published on Fridays. on the lifestyle quotient. Its range is very broad spectrum, the tenor is young and it is appealing. It is also distributed in hotels, restaurants, health clubs, spa’s and airport lounges. 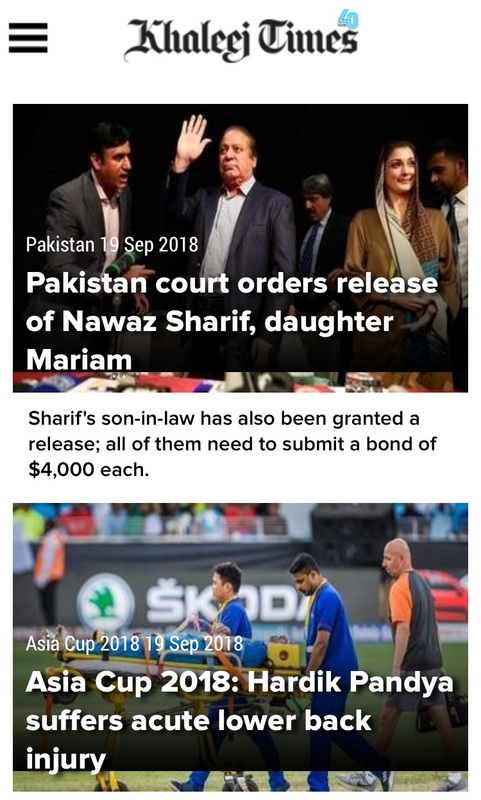 The website khaleejtimes.com, fully in English, is among the most clicked news platforms in the Middle East. It offers a wealth of news from the Gulf area and the rest of the world, with interactive sections and exclusive contents. 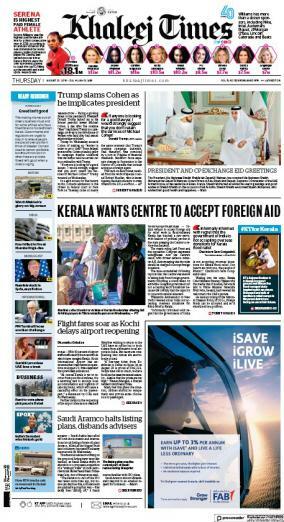 Khaleej Times, sold since 1978, is the second best-selling daily newspaper in the United Arab Emirates. 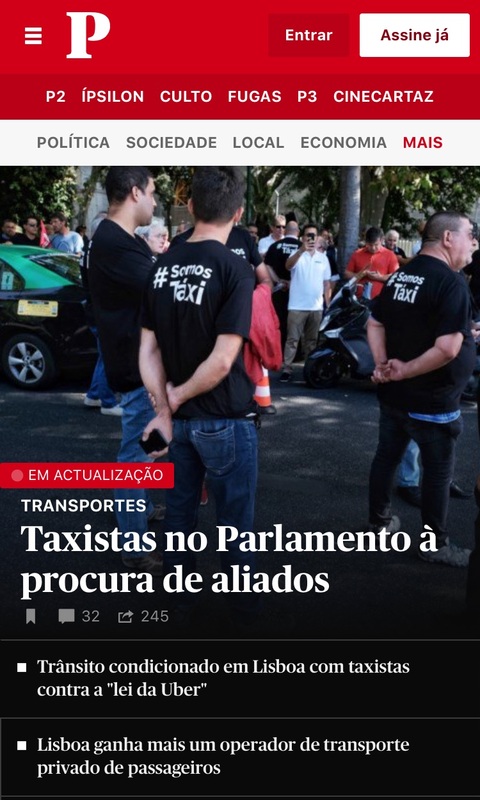 Published in English, it offers the most updated local news and articles on national and international politics, economics, sports and entertainment. It covers everything: politics, business, science, technology, sports, entertainment, and much more. Published since 1973, Qatar Today was the first English-speaking magazine in Qatar. Focused on the business and economic environment of Qatar, it is the most widely-read magazine in the country. The magazine also covers technology, industry, trade, leisure time and sport. Cesanamedia has been the exclusive representative for Qatar Today in Italy since 2008. 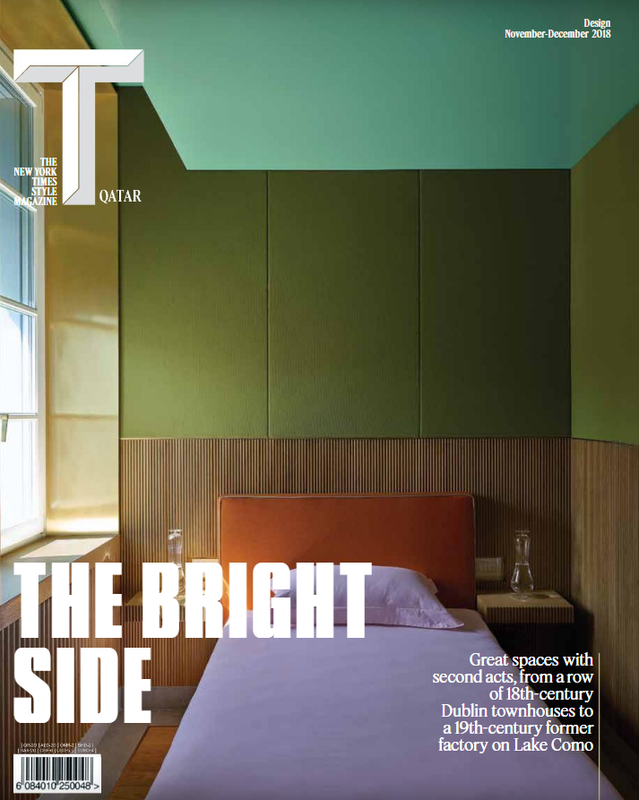 T: The New York Times Style Magazine continues its international expansion and launches T Qatar. The magazine, in both Arabic and English, targets a socially sophisticated readership. Its pages stylishly analyse all of the sides of fashion, both female and male, as well as travel, design, beauty and leisure time. 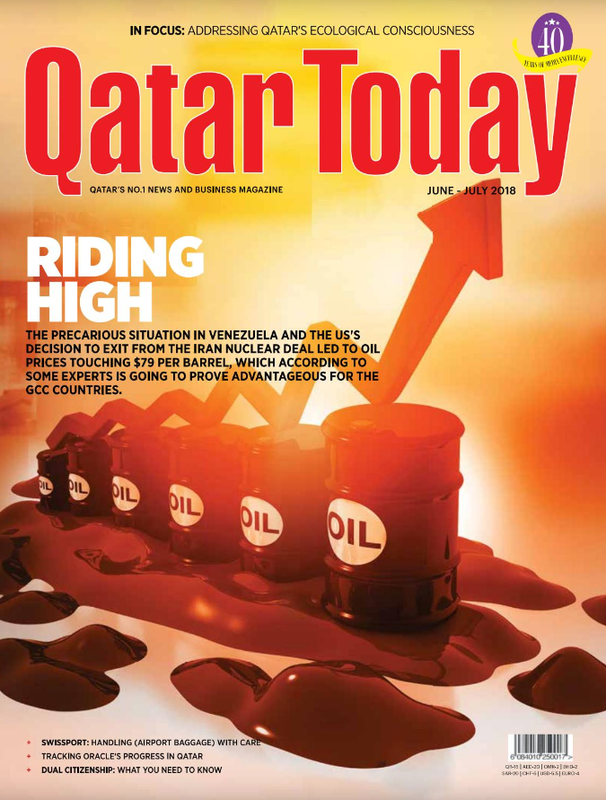 T Qatar is distributed to an exclusive database and is also available in the best bookshops and newsstands. Cesanamedia has been the exclusive representative for T Qatar in Italy since the launch in 2009. 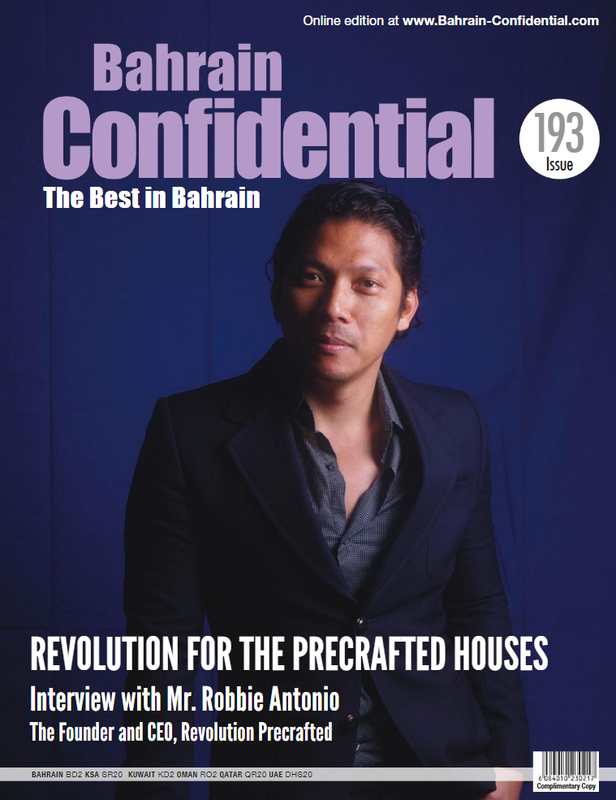 Bahrain Confidential is the Kingdom’s definitive guide to high-end Arabian luxury and lifestyle. It covers the best in lifestyle, luxury, fashion and dining, as well as local events, art, society, fashion, beauty and travel. Bahrain Confidential relies on exclusive distribution in luxury hotels, spa’s, and resorts, and airport business lounges. Cesanamedia has been the exclusive representative for Bahrain Confidential in Italy since 2008. Exclusively female site site, marieclaire.co.uk targets cool, affluent, influencer women in UK. It is a worldwide icon and a compelling media destination that combines provocative features with outstanding fashion and beauty, to inspire women who want to think smart and look amazing. 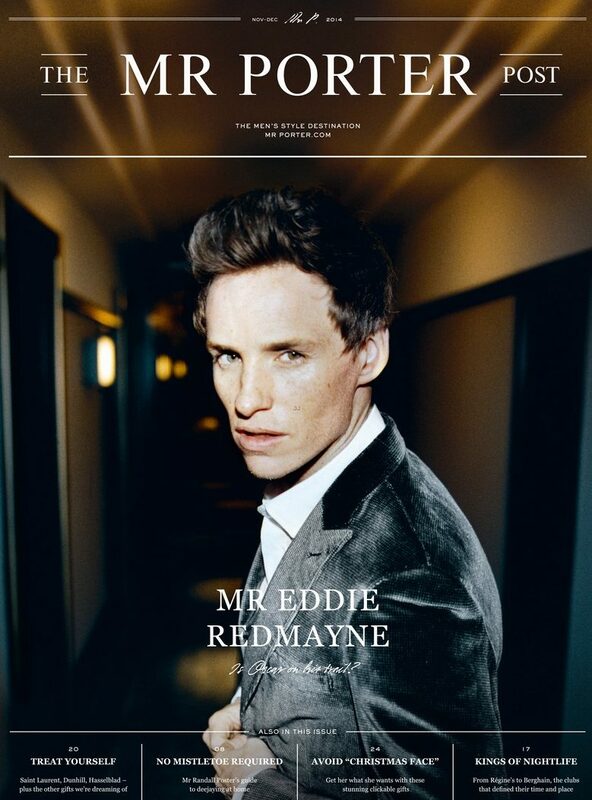 Cesanamedia has been the exclusive representative for Marie Claire UK in Italy since 2006. 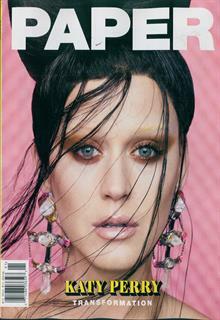 Marie Claire is a leading monthly female magazine dedicated to fashion and beauty, with local editions in 36 countries. 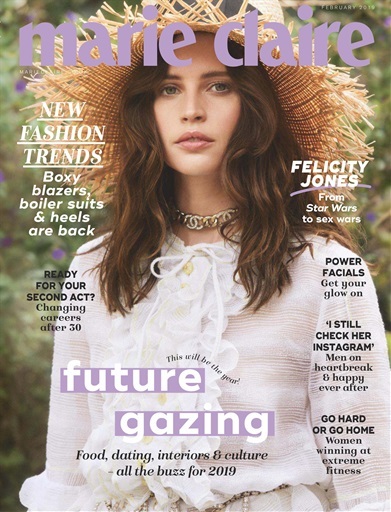 Since launching over 25 years ago, in 1988, Marie Claire UK has won over 50 awards, receiving recognition not only from within the magazine world, but from the fashion and beauty industries and charities. Editorial contents are widely dedicated to fashion, beauty, travel, celebrities and lifestyle. Its unique feature is the offer of a combination between style and contents. 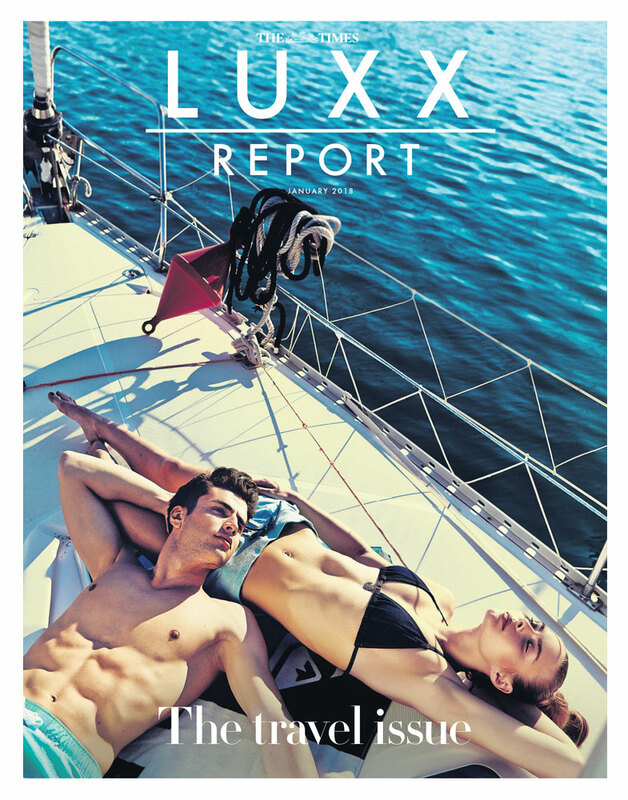 Ensuring that luxury has a voice beyond the glossy magazine, Luxx Report is published throughout the year in newsprint format with The Times newspaper. Cesanamedia has been the exclusive representative for The Times in Italy since 2003. Enchanted landscapes, dream vacation itineraries wild, extreme trials. 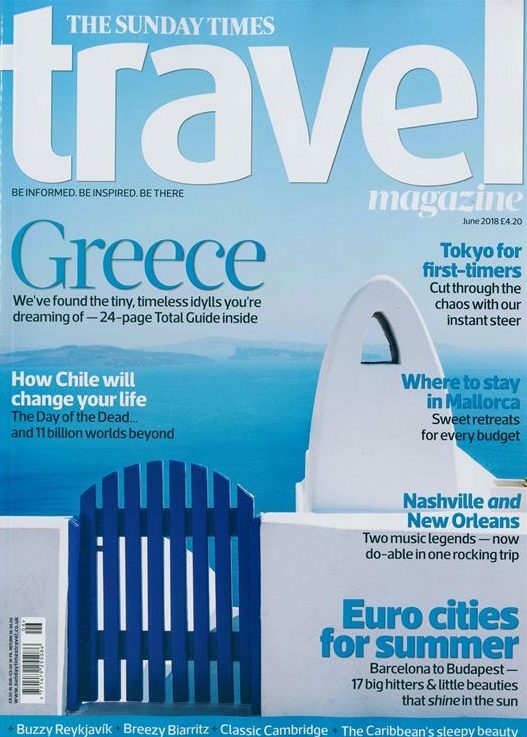 This is The Sunday Times Travel, full of images and information and precious anecdotes. It comes out monthly. Relaunched at the end of 2016, LUXX immerses readers in an exploration of the fast changing world of luxury. With inspiring features and stunning photography, LUXX ensures its readers are well-informed about the best products, experiences and innovations available in the world. 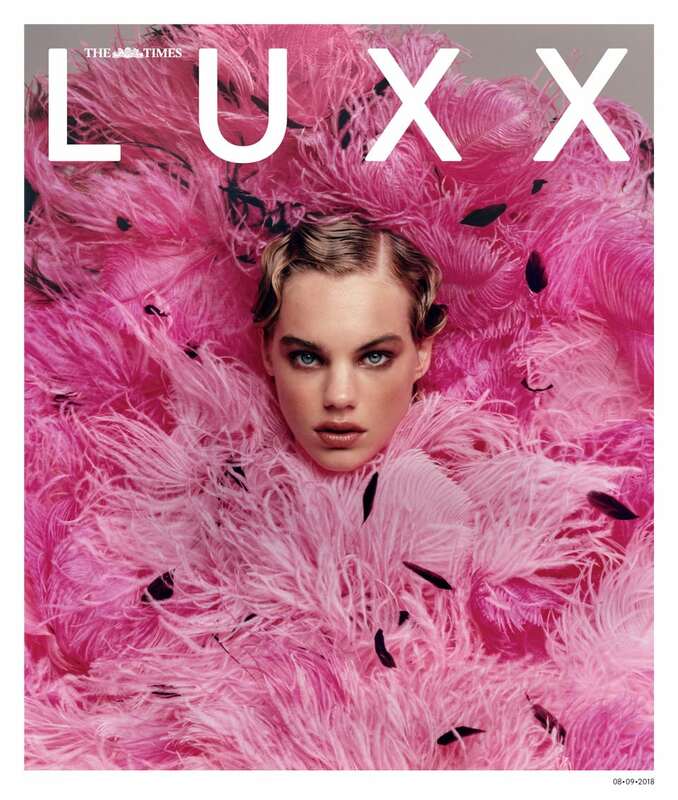 LUXX reflects a younger, urban, professional and highly aspirational readers; it also serves the needs of the affluent and influential audience of The Times. Fashion is at the heart of Style’s identity. 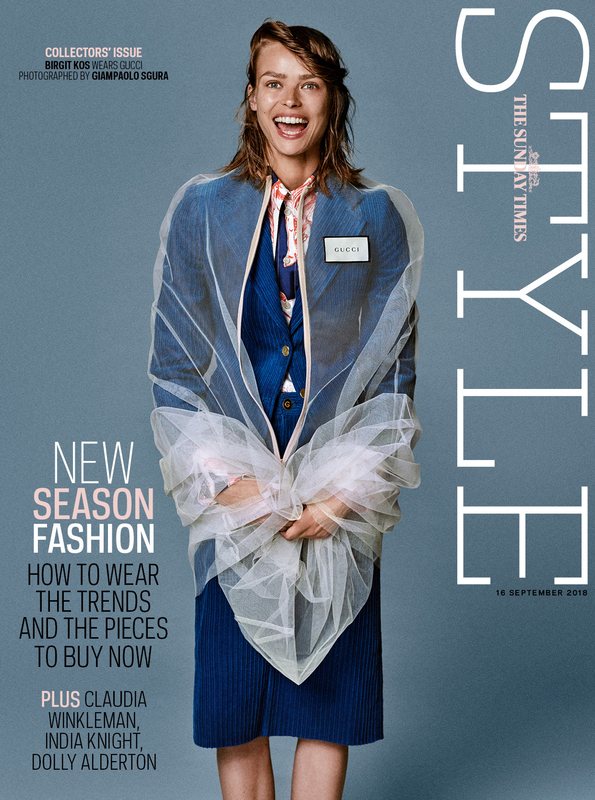 The fashion industry, its characters, creativity and commitment to pushing boundaries is a constant inspiration for the weekly supplement of The Sunday Times. The contents of Style include also beauty, design, jewellery and art of cooking. Its coverage gives a useful edit of the best products, combined with trusted opinion and up-to-the-minute news. Twice a year, in March and September, the Big Fashion Issue is also published. 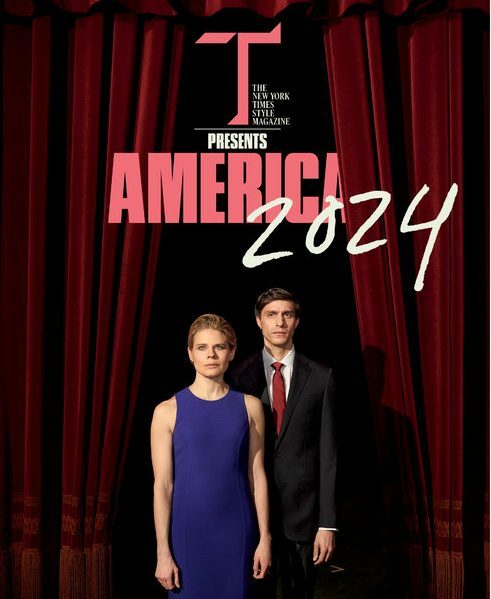 On Saturdays, The Times provides various segments ranging from culture to travel, along with The Times Magazine supplement, which features weekly articles on current affairs, art, lifestyle, politics and culture. The first ever colour supplement to go out with a newspaper to a large faithful audience every week, The Magazine is a global reference for Sunday supplements. Influential and incisive, it is the most read quality supplement in UK. Some of the features have been running since Day 1 such as Relative Values and A Day In The Life Of. It is highly appreciated for its articles that open an expansive window on a range of stories from across the world. 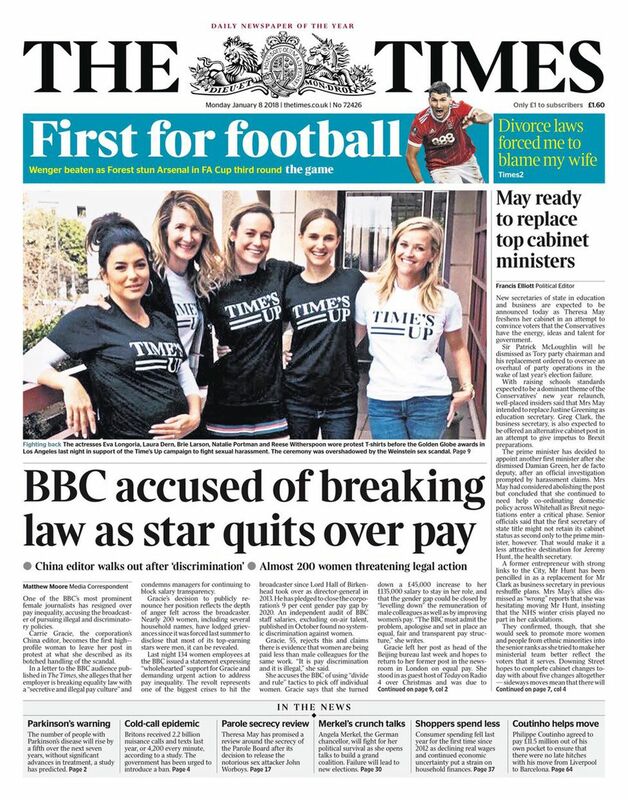 Launched in February of 2002, the site thetimes.co.uk quickly reached success, also thanks to the credibility of its news, the quality of its editorial team, the ease of navigation and the various interactive services. In 2010, a paywall system was introduced. The strategy was successful. In Spring 2016, The Times and The Sunday Times moved to a unique site, an edition-based digital publishing model. One core edition is produced each day, on all platforms, with updates to the edition published at 9am, noon and 5pm on the website and smartphone apps. On weekends the edition updates is at noon and 6pm. The Sunday Times was published for the first time in 1821 and has always been the unmatched leader in Sunday print. Every Sunday, it delivers articles on current affairs, ranging from politics to culture, to lifestyle. 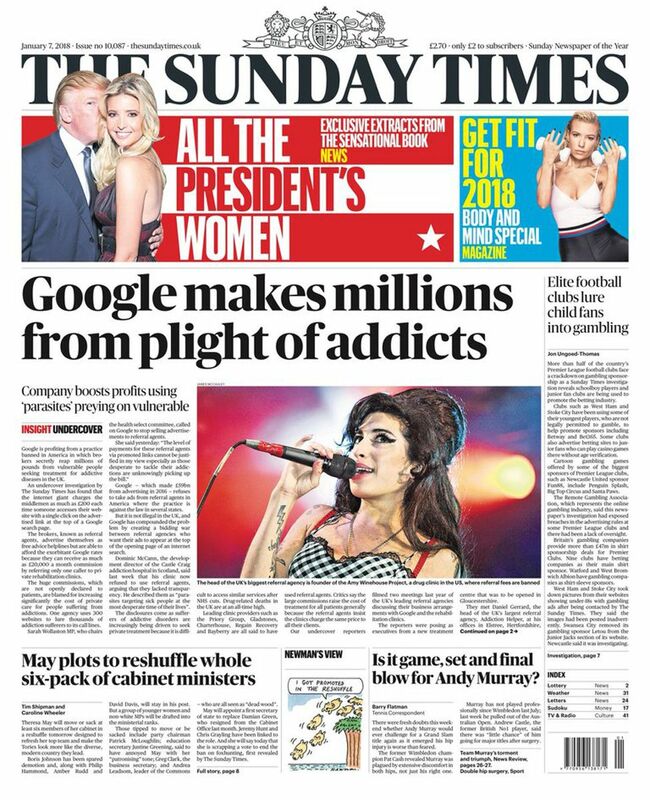 The Sunday Times is the leading preferred quality daily for the well-informed. 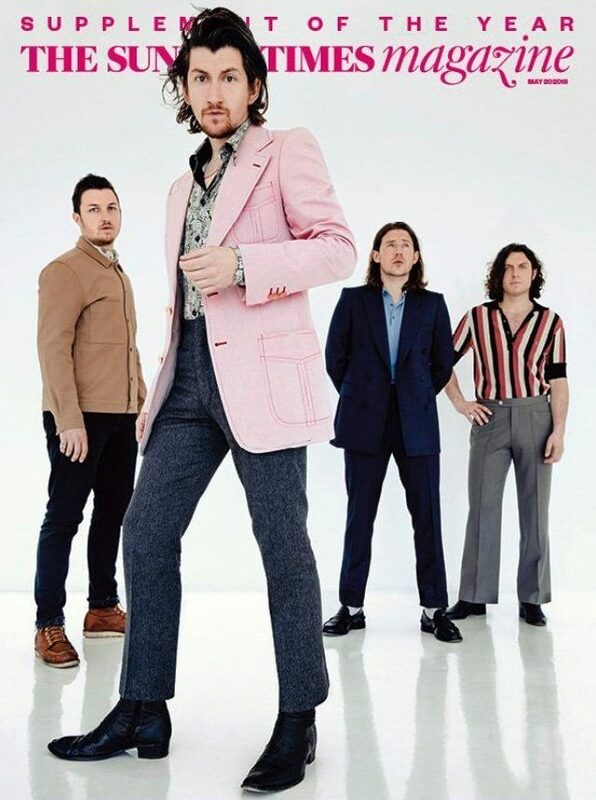 It also offers its readers The Sunday Times Magazine, the reference magazine featuring top-level journalistic contents, exclusive interviews, and focus on the most interesting current affairs. 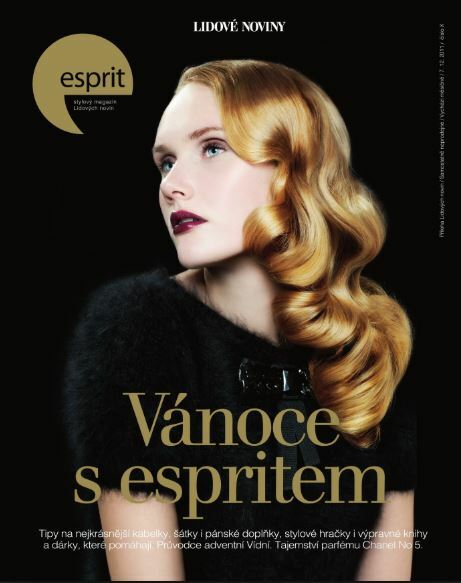 The Style supplement dedicated to fashion and beauty also comes out on Sundays as a supplement. Cesanamedia has been the exclusive representative for The Sunday Times in Italy since 2003. From its launch in 1758, The Times rose to a prominent position and is still now, over two centuries later, the reference daily newspaper in the UK. 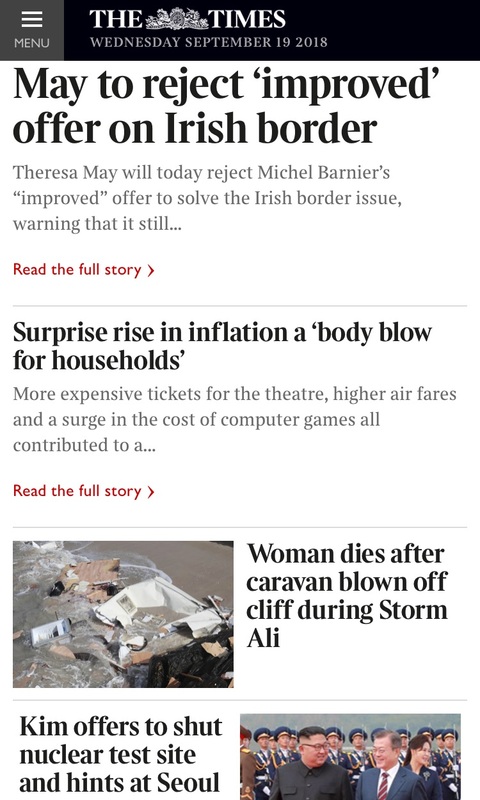 Monday through Saturday, The Times offers news and comments on national and international current affairs, politics, economics, culture, lifestyle and sports. The Times is also a fast-moving, highly-creative, multichannel media operation. An agenda-setter, whose journalism has always had the ability to engage, inform, entertain and inspire. Its audience is affluent and discerning. OGlobo.com the website of Brazil’s leading daily O Globo, is a premium news site in Brazil. Its breaking news section is considered one of Brazil’s best. O’Globo publishes every day national and international information regarding economics, finance, commerce, technology, architecture and design. Over three quarters of the readers belong to upper and upper-middle class. Cesanamedia has been the representative for O’Globo since 2007. 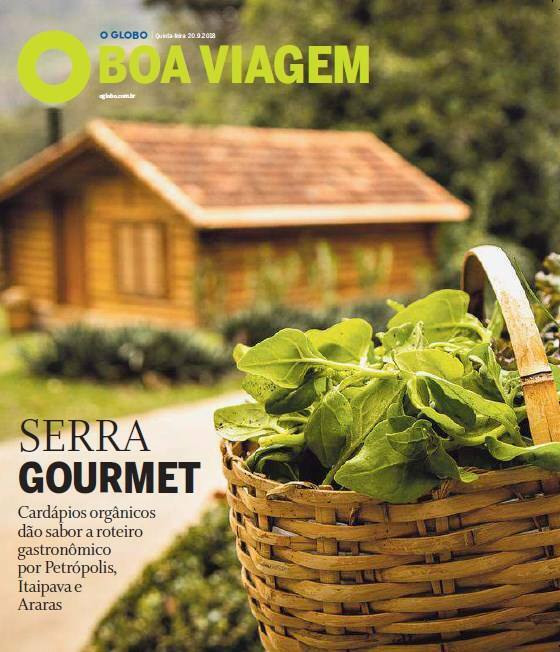 Boa Viagem is the weekly travel magazine of O’Globo, dedicated to travelling. It covers every aspect of the domestic and the international tourism, with ideas for travellers and information about airlines, cruise companies, hotels and attractions. 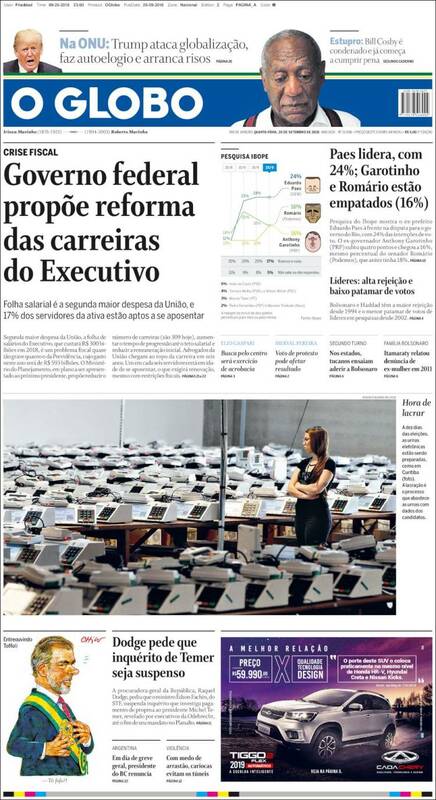 Revista O’Globo is published every Sunday as a supplement to the main paper O’Globo. Revista O’Globo magazine is the newest and main editorial project of the last few years in the Brazilian market. Revista O’Globo contains fashion, beauty, lifestyle, design, health and science information, aiming at entertaining readers of upper and upper middle classes. O Estado de S. Paulo is published since 1875 in São Paulo, Brazil’s business capital and top Latin America consumer center. It has the most qualified and the highest purchasing-power readership among general interest papers in the country. 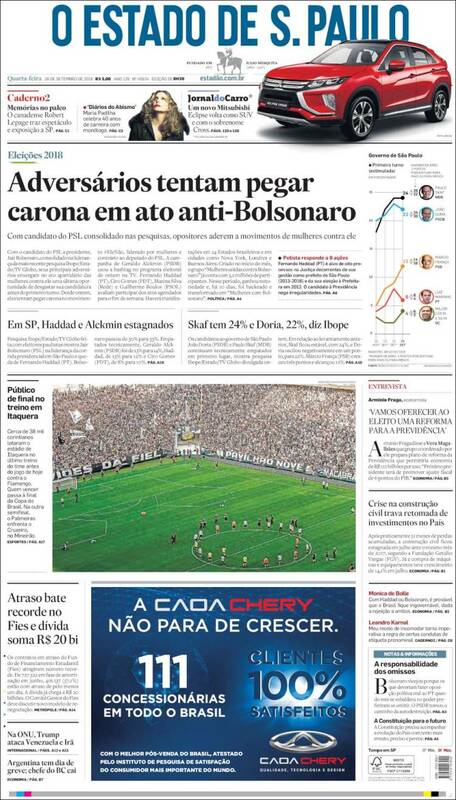 According to a research by Harvard University, “Estadão”, as this newspaper is kindly nicknamed by the readers, is recognized as one of the 20 best of the world. Ela, Saturday supplement of O’Globo, is published in broadsheet format with contents of luxury, fashion, culture, arts, food and design. O’Globo is Brazil’s leading Portuguese daily newspaper, published by the publishing house Infoglobo. Over three quarters of the readers belong to upper and upper-middle class. O’Globo publishes every day national and international information regarding economics, finance, commerce, technology, architecture and design. 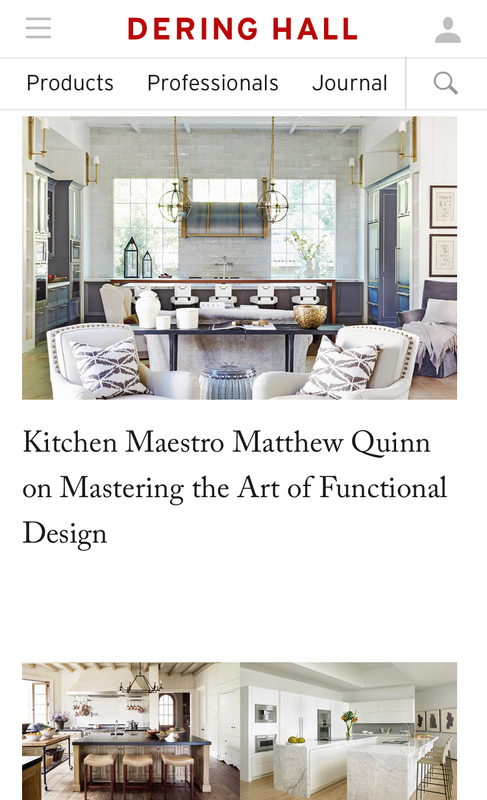 Deringhall.com is the premier online resource for designers and consumers in US which discovers and connects to the world’s finest interior design products and professionals. Founded in 2011 by Peter Sallick and Steven Gambrel, veterans of the design industry, Dering Hall uses technology to make great design accessible. Dering Hall utilizes daily content to educate readers on the value of high-end design and bring readers directly to the products, images and profiles of Dering Hall members. Editorial at Dering Hall is run by Michael Boodro, former Editor-in-Chief of Elle Decor. All content is featured on the Dering Hall site, daily enewsletter and through an extensive syndication network. 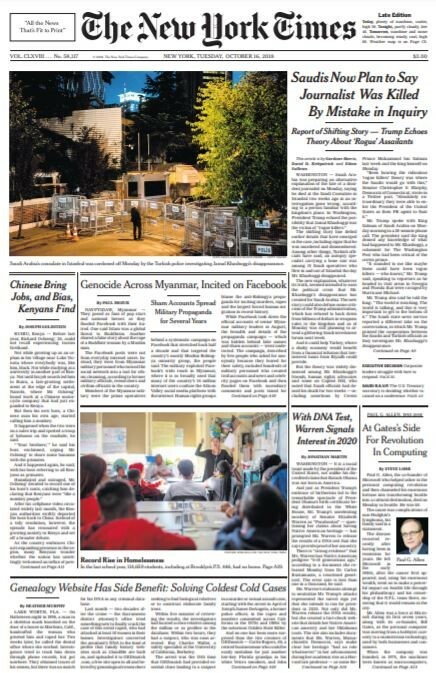 Cesanamedia has been the exclusive representative for The New York Times in Italy since 2018. Launched in 1984 as “downtown arts and style magazine”, papermag.com has a system with a strong digital impact, keeping an eccentric role in the media arena as “cool kid” of the pop culture. In 2014 the sensational cover with Kim Kardashian holding an enchanting champagne glass, photographed by Jean-Paul Goude, has been the first “Break the Internet” issue. Ever since PAPER site and social media have been successfully connected to the millennials and Generation Z. PAPER universe includes today the magazine, the digital platforms and Extra Extra, event and marketing agency. Cesanamedia has been the exclusive representative for PAPER in Italy since February 2018. Nytimes.com the world’s leading newspaper web site. It combines the depth and quality of The New York Times journalism with innovative interactivity and engaging multimedia to deliver an unrivaled experience for readers. 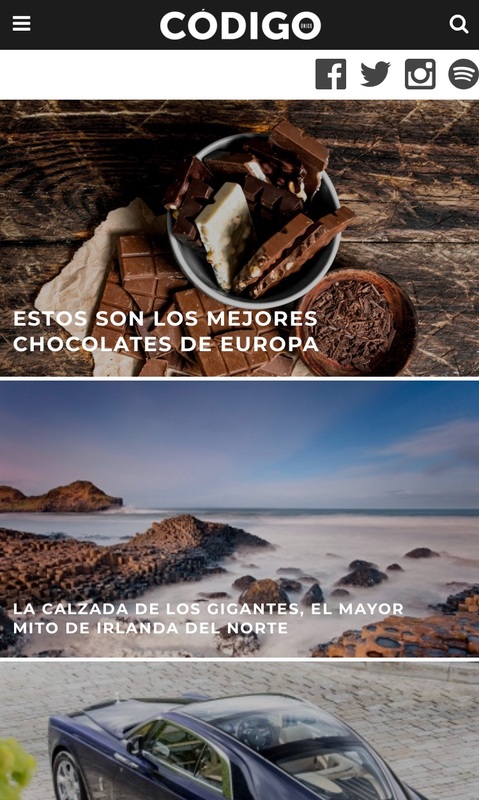 A unique destination for the global audience: the media company has launched also a site in Chinese and Spanish language. Paper has been a hugely significant voice in the pop media scenario since its origin, in 1984. It has been recently relaunched by Tom Florio, experienced professional in the media industry, together with Drew Elliott, expert of technology and of the entertainment business and Chief Creative Officer of PAPER, and XRM Media, as strategic partner. From being the “cool kid” of the pop culture, has become a hub for a community of next generation audience and consumers. Paper Communications includes the print magazine with a quarterly frequency, the digital business and the creative agency Extra Extra. Launched in 2004, it is published montly and is a supplement to the Sunday edition of the newspaper. 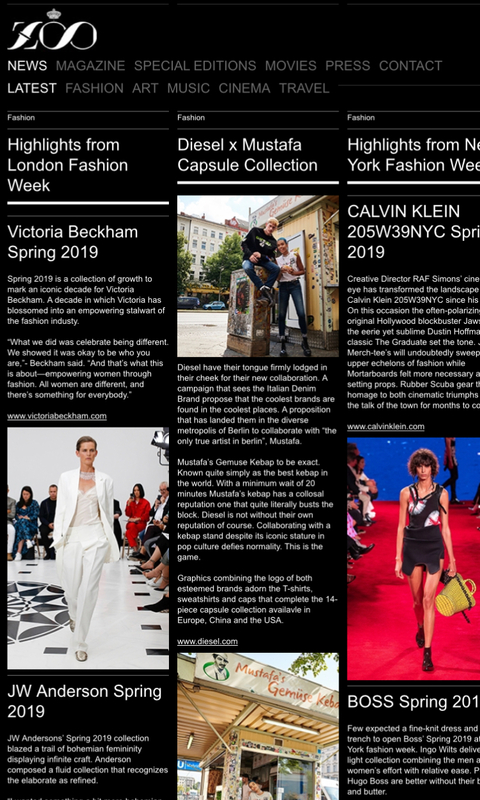 T: The New York Times Style Magazine strives to be the most influential, creative culture style magazine in the world, connecting with readers by viewing fashion and style through the prism of culture with quality as our filter. T Magazine’s world-class journalists examine, analyze and edit the cultural moment we live in, setting the tone for conversation embraced by their influential readers. For more than 150 years, Times readers have expected their newspaper to provide the most thorough and uncompromising coverage in the world. The Times has won more Pulitzer prizes than any other news organization and remains No. 1 in overall reach of U.S. opinion leaders. A targeted editorial strategy allows access to its contents on all digital devices and platforms, with dedicated technological and graphic solutions. In the spring of 2011 the NYT introduced paid access to its online edition. The website of Switzerland’s most read people magazine allows to get up close and personal with key figures from the worlds of culture, sport, politics, business and entertainment. 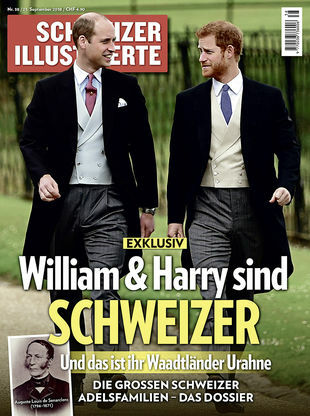 Schweizer-illustrierte.ch underlines its leading position on topics such as people, fashion, lifestyle, health and leisure. Through exclusive photo galleries, the portal offers an extensive encyclopaedia of VIPs. Cesanamedia has been the exclusive representative for Schweizer-illustrierte of Admeira group in Italy since 2015. 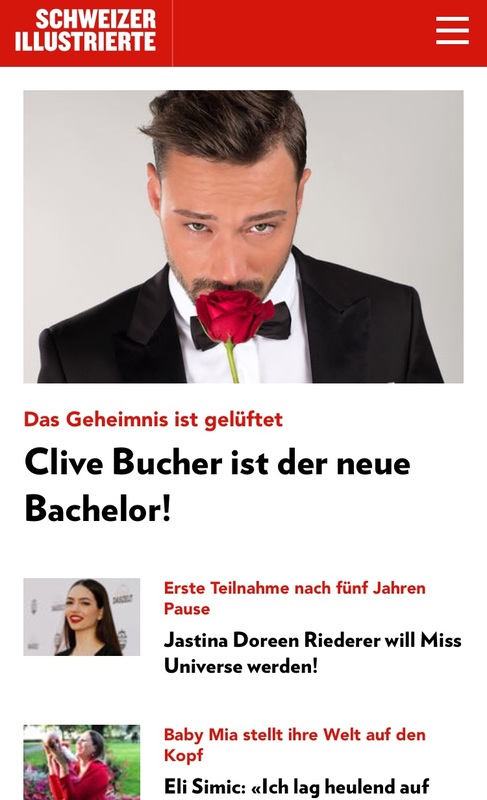 Schweizer Illustrierte portrays stars, opinion leaders and idols outside the usual reporting venues of places of work or in public, where they feel the most at ease: at home with their partners, on holiday or at their leisure. It gets up close and personal with people and their achievements – in the areas of show business, politics, sports, business or culture. 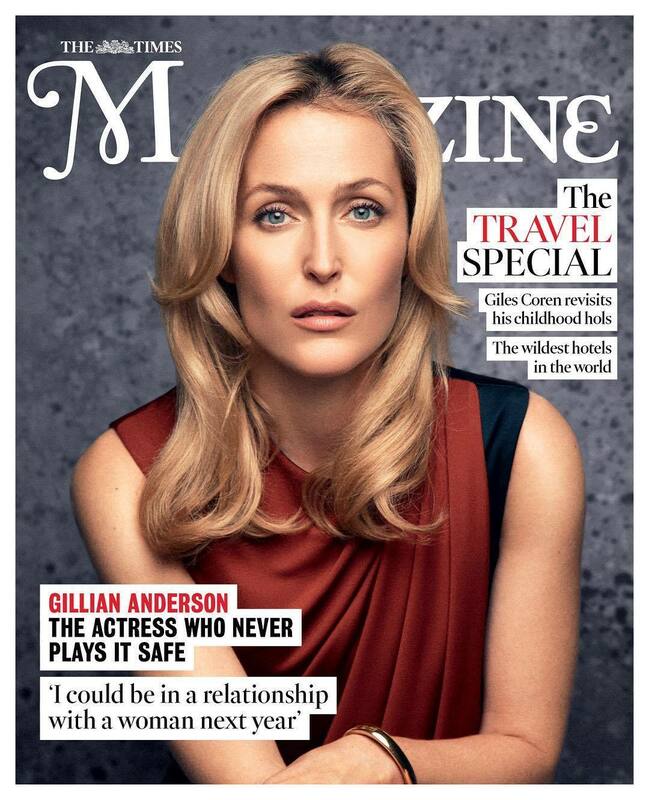 Accordingly, the magazine’s current catchphrase is: “Closer to the stars, closer to the people”. Cesanamedia has been the exclusive representative for Schweizer Illustrierte of Admeira group in Italy since 2015. Style-magazin.ch is focused on fashion, beauty, travels and celebrities. 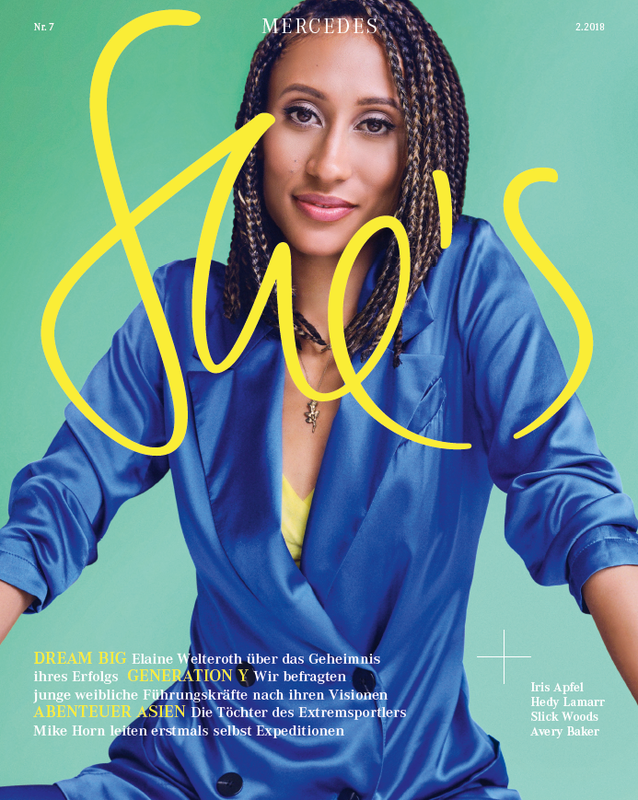 Fresh, original and catchy Style magazine website has been the daily appointment for Swiss curious trendy women for over ten years now, since the launch. Cesanamedia has been the exclusive representative for Style for Admeira group in Italy since 2015. 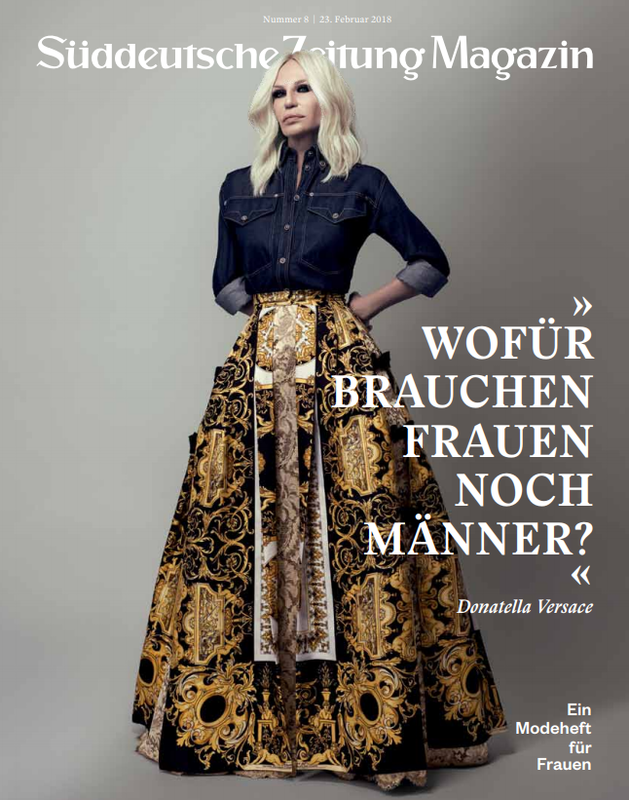 Having only been launched in 2006, Style has already become Switzerland’s biggest women’s magazine. The secret of its success lies in its up-to-date approach. Fashion and beauty take center stage in Style. However, this magazine is equally passionate about celebrities, featuring their personal styles, inviting them to interviews and photo shoots and portraying how they live and travel. Style’s mission is to track down trends, to inform and amuse. Cesanamedia has been the exclusive representative for Style of Admeira group in Italy since 2015. 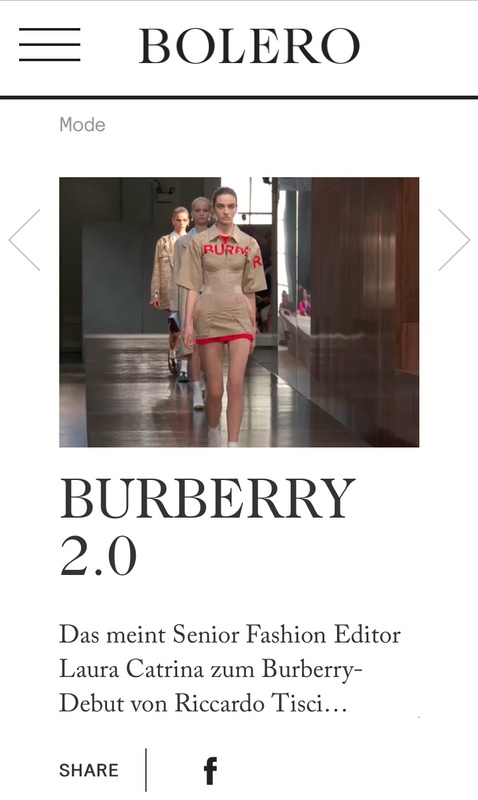 The website of Switzerland’s leading monthly fashion and lifestyle magazine surprises its readers with new stories. 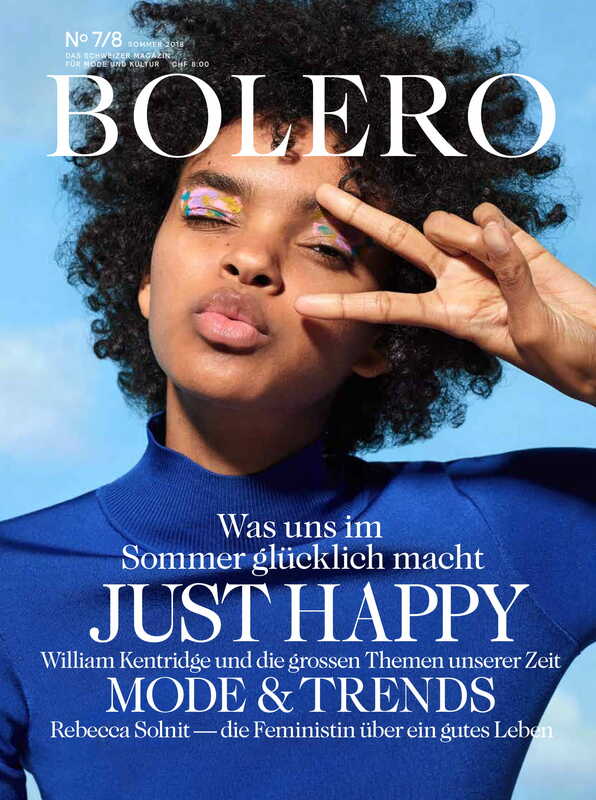 With its exciting features and reports, Bolero is the Swiss fashion magazine which not only looks good but is also a great online read. 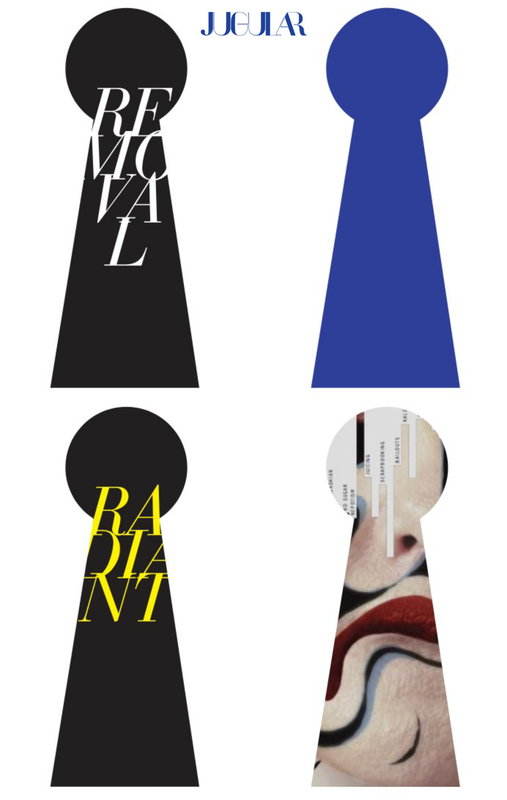 Boleromagazin.ch is the place where fashion designers share insider knowledge. Cesanamedia has been the exclusive representative for Bolero for Admeira group in Italy since 2015. Bolero is Switzerland’s leading fashion and lifestyle magazine. 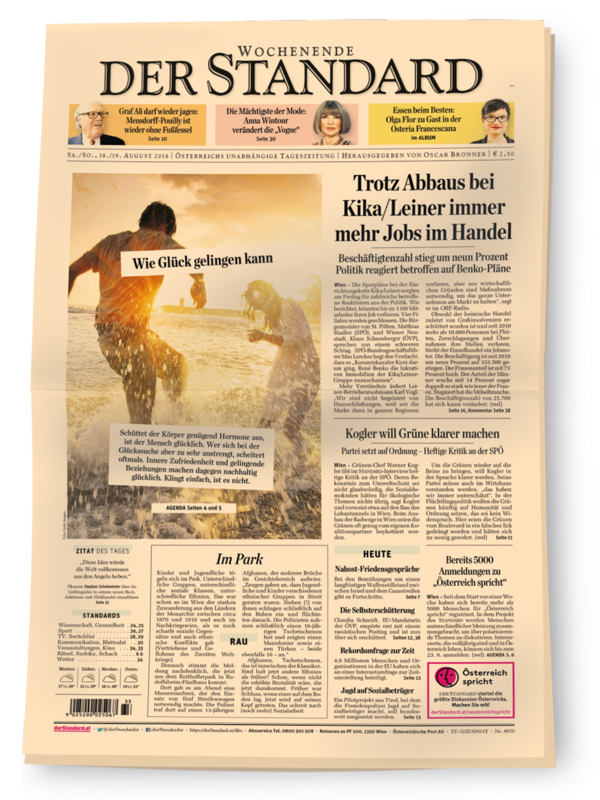 Following a rationalisation within the titles, Bolero, in German language, is issued six times a year together with the business magazines Bilanz and Handelszeitung. Bolero’s content is devoted to the luxury sides of life: culture, design and «art de vivre». Bolero’s key asset is the outstanding writing and photography, making the magazine a “must read”. Cesanamedia has been the exclusive representative for Bolero of Admeira group in Italy since 2015. T is the most recent publication within the Swiss group Admeira. 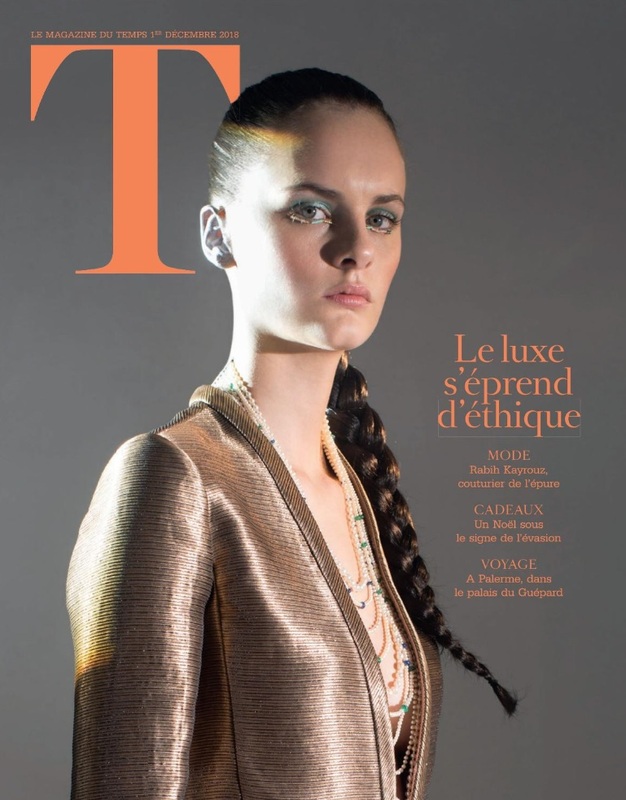 Launched in February 2017, the magazine is the supplement to the weekend edition of Le Temps, the Swiss newspaper in French language. Issued twenty times per year, T explores for its high profile readers the world of fashion, travels, watches and exclusive craftsmanship, technology and science. With a hedonistic approach, T promotes “bien vivre”, a sporty but also gourmand lifestyle. T also investigates actual issues and social topics such as the art of living in our time. Cesanamedia has been the exclusive representative for Le Temps, Admeira group, in Italy since 2015. Credibility and quality information, these are the hallmarks of the letemps.ch news portal in French language. Around-the-clock reporting, with exclusive stories and multimedia content. The content is produced in the integrated newsroom in Lausanne. Cesanamedia has been the exclusive representative for Le Temps of Admeira group in Italy since 2015. Le Temps is a French-language daily in Romandy. 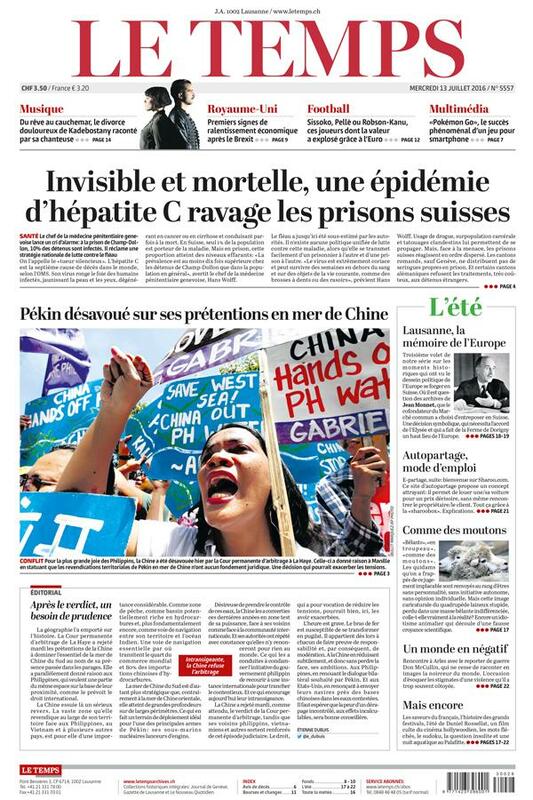 It was created in 1998 when The Journal de Genève et Gazette de Lausanne merged with Le Nouveau Quotidien. Le Temps is a leading newspaper with a primary focus on politics, arts and business. The emphasis is on information, competent analysis and the shaping of public opinion. Le Temps is distributed throughout Switzerland and in France. Cesanamedia has been the exclusive representative for Le Temps of Admeira (former Ringier) group in Italy since 2015. XL Semanal is the lifestyle Sunday supplement in Spain with national coverage, targeting upmarket men. XL Semanal is distributed nationally through the daily ABC and all the regional newspapers part of Vocento portfolio and in Barcelona, being supplement of El Periódico de Catalunya. Cesanamedia has been the exclusive representative for Grupo Vocento in Italy since 2012. 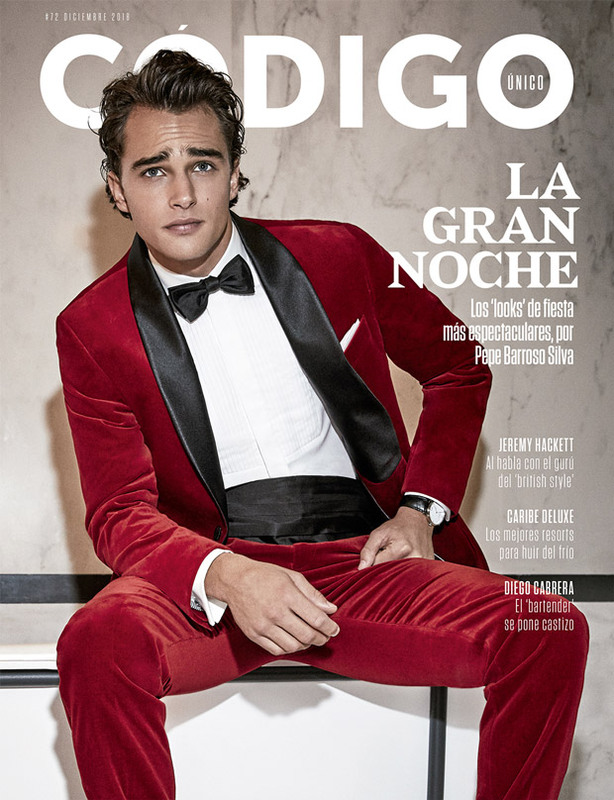 Codigounico.com the website of Codigo Unico, the lifestyle monthly magazine for the elegant and trendy Spanish man. Accurate contents to provide the ideal destination for male audiences looking for the latest on fashion, watches, traveling and sports. For high-status men who love style and the most prestigious brands, Vocento offers the magazine Codigo Unico. It is issued monthly, distributed with ABC and El Periódico, key newspapers in Madrid and Barcelona. Cesanamedia has been the exclusive representative for Codigo Unico by Grupo Vocento in Italy since 2012. Mujerhoy Moda was first published in 2011 hand by hand with Mujer Hoy, the leading women´s magazine in Spain. Since then, Mujerhoy Moda has become a reference in luxury for the female universe. 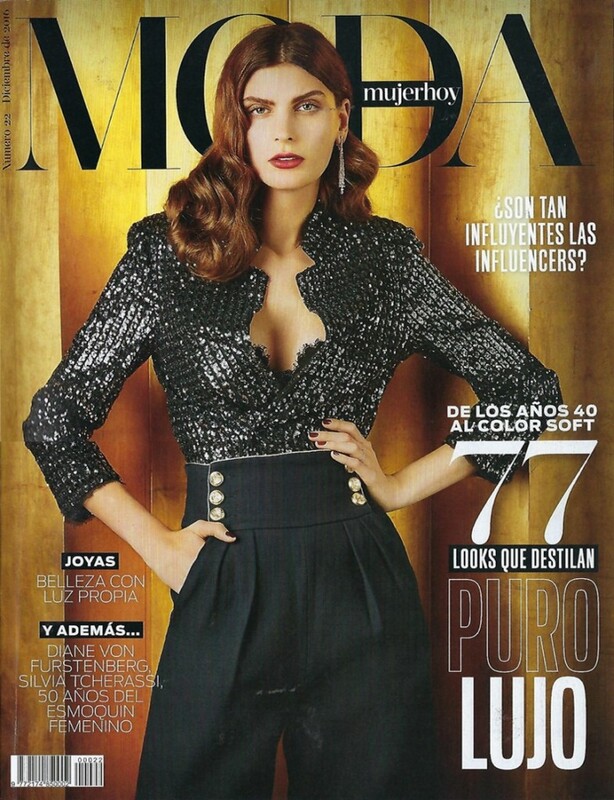 Issued four times per year, MujerHoy Moda is a large format, glossy magazine with perfect binding. Mujerhoy.com concentrates the best of fashion, beauty and culture for its stylish audience. It is among the most visited female websites in Spain. Mujer Hoy, has conquered its female audience thanks to qualitative and appealing content and a strong media brand. Mujer Hoy means today not only the weekly magazine but also digital and social presence, live events and experiences. Mujerhoy is distributed in Spain through twenty leading titles and reaches Catalunya through El Periódico. Abc.es is one of the most visited website in the whole of Spain. It has a constantly-evolving interface and offers qualitative coverage to current affairs, local news and analysis. 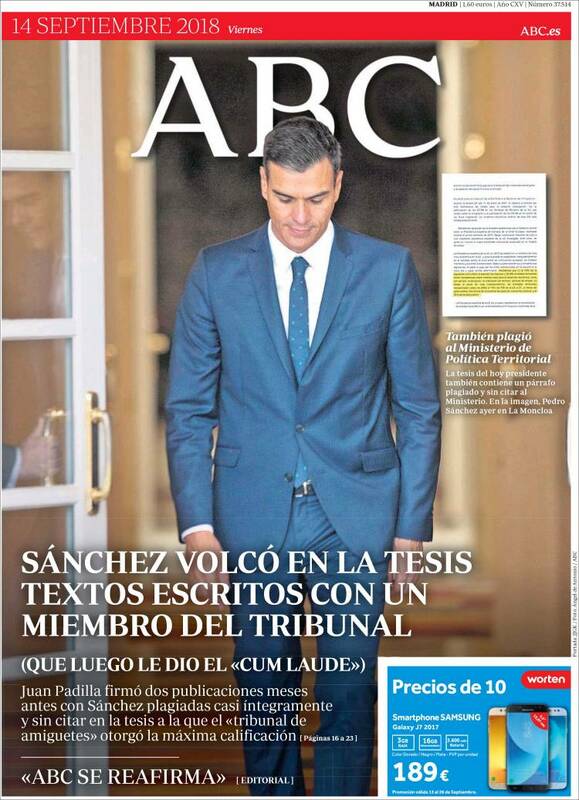 ABC Nacional is the daily newspaper distributed by Grupo Vocento across Spain. It offers a complete overview in terms of Spanish and international information. Launched in 1903, seriousness and reliability are its hallmarks thanks to authoritative journalists. Vocento group offers a national coverage through ABC and through a detailed network of local and regional newspapers of high quality including Catalunya with El Periódico and Madrid area. 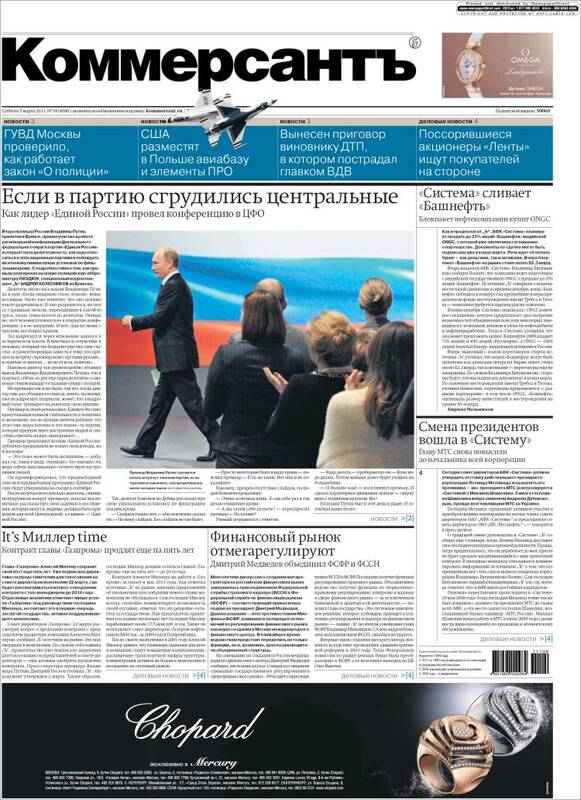 Kommersant Dengi is the first economic weekly publication in Russia. Launched in 1993, it is a useful guide about making, saving and spending money. Cesanamedia has been the exclusive representative for Kommersant in Italy since 2005. Kommersant-Style is a glossy monthly supplement to the daily business newspaper Kommersant and is distributed in Moscow and St Petersburg. It covers fashion and lifestyle, luxury travel and destinations, expensive cars and yachts, sport events sponsored by the most fashionable brands in the world, interviews and comments from worldwide designers. Kommersant-Weekend is a lifestyle supplement to Russia’s leading quality daily national newspaper published every Friday. 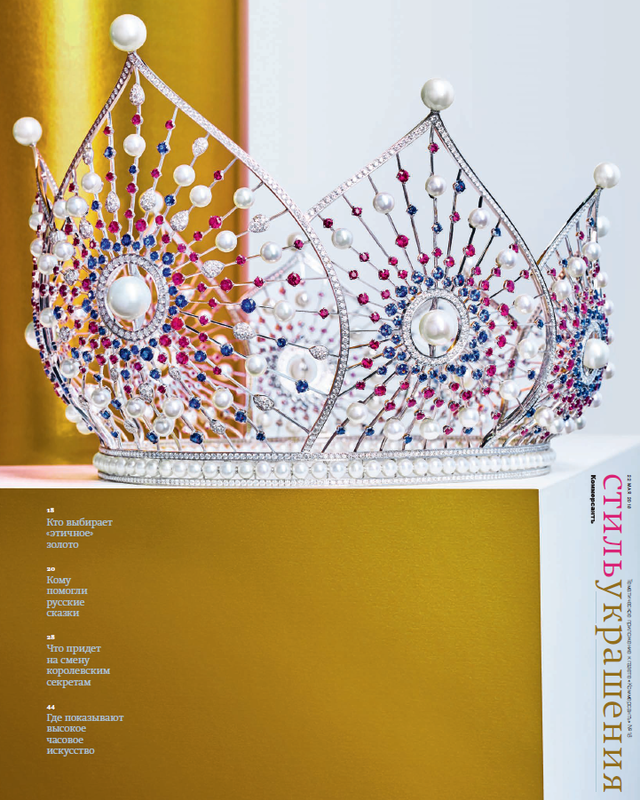 The supplement is distributed in Moscow, St Petersburg and Ekaterinburg and is an extensive review of all events and recreational activities in and around regions, everything new and interesting, announcements of coming soon shows and premieres, shopping surveys and new fashion collections, and other useful information about Russian lifestyle. 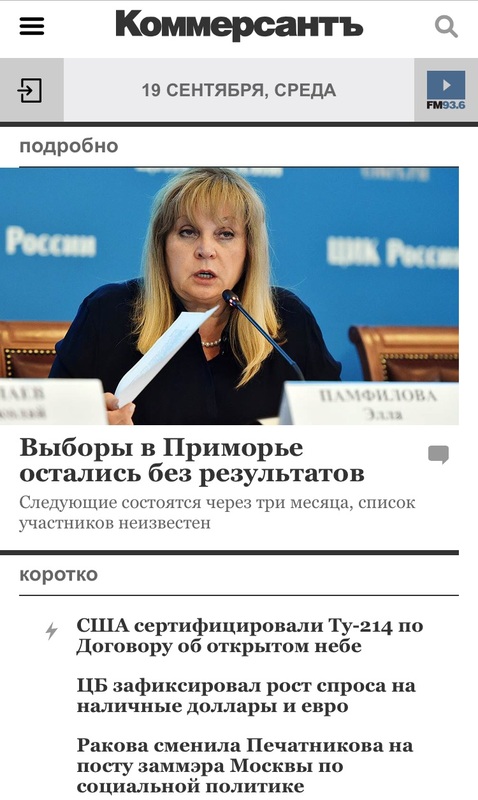 Launched in 1995, kommersant.ru is the most quoted and influential news platform in Russia and the CIS countries. It provides online information on business and politics in Russia and worldwide including: political, financial and business news, breathtaking social, cultural and sports events, accurate forecast and deep analyses. It is a point of reference for decision makers in Russia. Launched in 1992, Kommersant is Russia’s leading quality national daily. Kommersant provides in-depth and comprehensive authoritative and influential coverage of a wide range of subjects from national to international news, business, finance, technology, politics, culture and sport. Stylish supplements every week further explore the world of fashion, luxury and creativity. 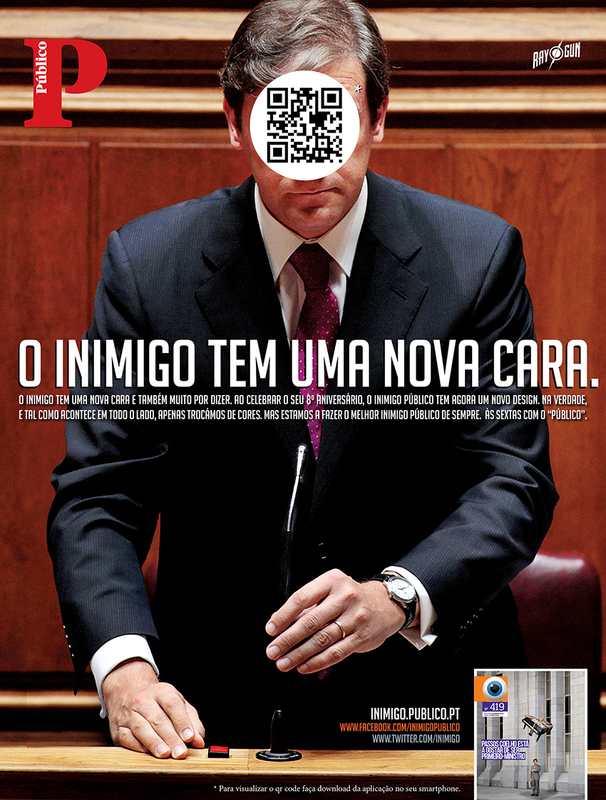 Publico.pt is the site of the leading quality newspaper in Portugal. Ot provides the latest on politics, business, economics, culture, science, sport, the media and lifestyle. Cesanamedia has been the exclusive representative for Publico in Italy since 2007. 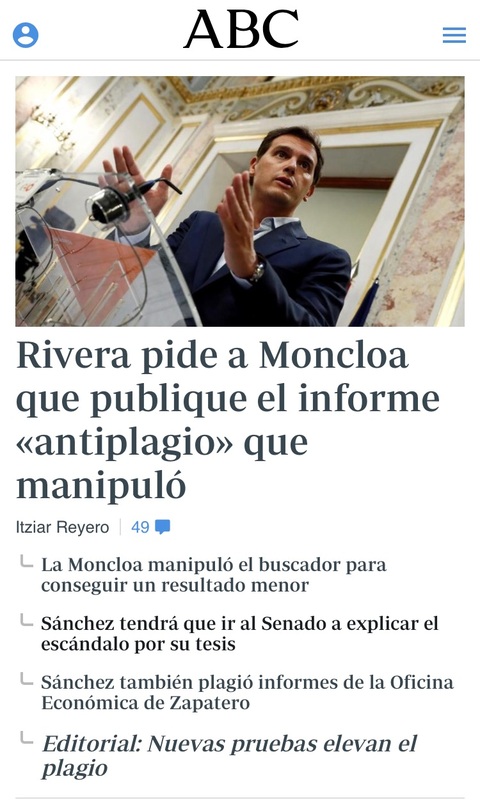 Inimigo Pùblico, Friday supplement to the newspaper along with Economia and Ipsilon, it is a fun weekly satirical magazine on society and the political class. 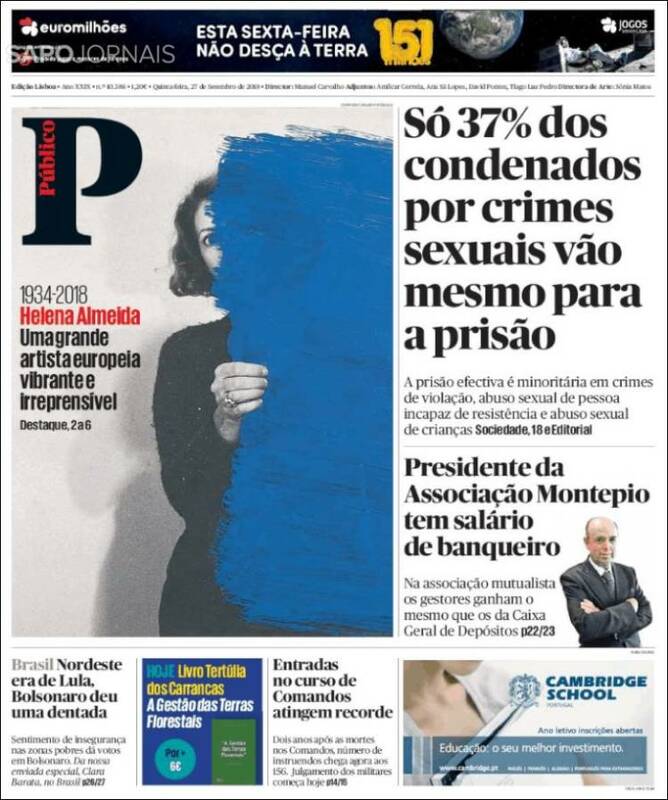 Published by Público-Comunicaçao Social, Público is the leading quality newspaper in Portugal, its readership exceeding even the free press. National coverage is provided alongside international reports on politics, business, economics, culture, science, sport, the media and lifestyle. It offers an accurate and detailed analysis of the most relevant daily events. Supplements: Fugas, Ypsilon, Life&Style, P3. 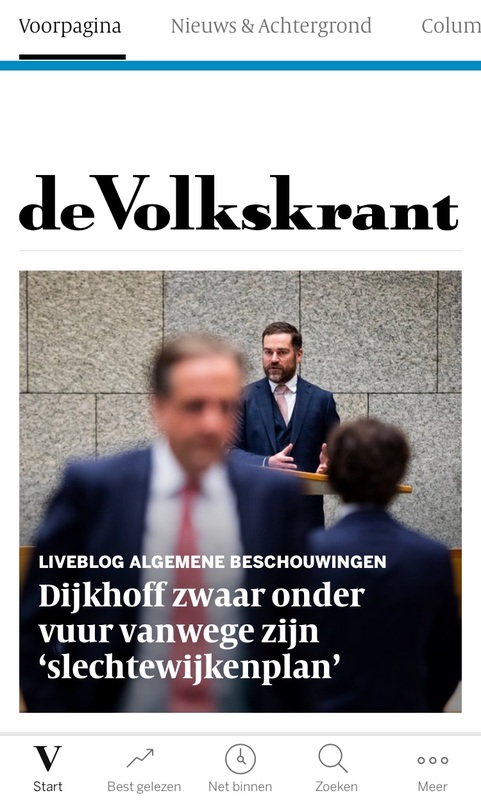 Volkskrant.nl, the site of the highly respected newspaper de Volkskrant, attracts a high-profile audience thanks to a continuous coverage of national and international news with dedicted sections to travels, culture, arts and technology. Cesanamedia has been the exclusive representative for De Persgroep media company in Italy since 2002. Ad.nl is a leading news source presenting the latest national and international news with a strong focus on sports and entertainment. The editorial teams provide audience with the most exclusive highlights and with an extra focus on regional news. PS van de Week is distributed with Het Parool every Saturday. It is an original and striking publication. It offers surprising entertainment and is the best guide available for a week in Amsterdam. This supplement includes a rich Good Food & Drink section. Het Parool newspaper has the highest circulation is the Amsterdam area, the financial and economical centre of the Netherlands. The newspaper is an essential source of news. It is also the most important guide for sports, art, culture and lifestyle. Sports, style, art, children, interior and design are important editorial pillars. Volkskrant Magazine is the Volkskrant’s quality magazine issued on Saturdays. One of the few magazines in the Nederlands appreciated by both male and female readers. The in-dept interviews, personal stories, unique design and beautiful photography make it an unmissable appointment for a wide audience. 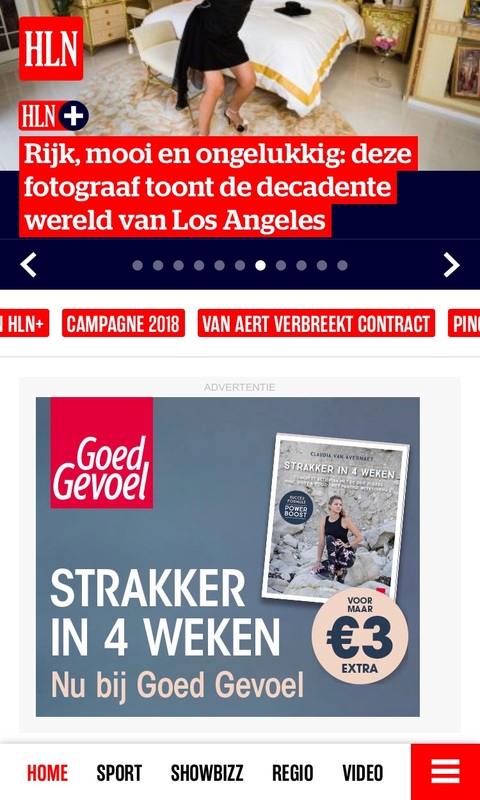 De Volkskrant is the number one quality newspaper in the Netherlands. The newspaper is critical and trustworthy, and easily accessible to a wide audience. Literature, arts and culture, travel and science are important fields of attention. Da Volksrant readers are consumers with high purchasing power. 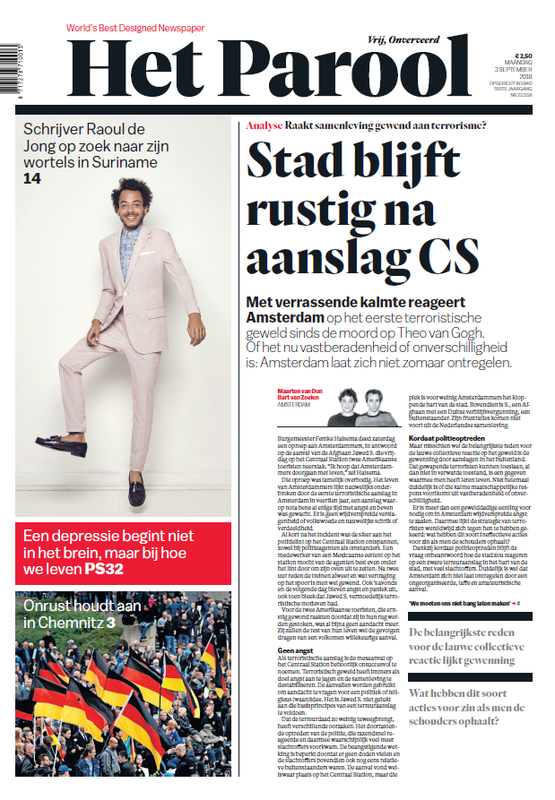 AD is the second-largest newspaper in the Netherlands, and the number one newspaper in the Dutch Persgroep portfolio. A newspaper for the family, offering news for a wide audience. AD covers international, national and regional news, and has a strong focus on sports and entertainment. 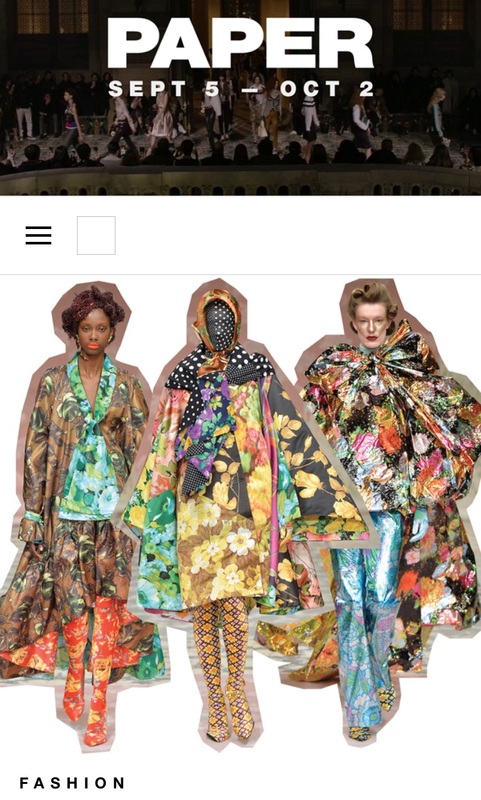 Zoomagazine.de functions as an inspirational platform that targets fashion and everything to do with it, such as music, cinema, art, interior design and architecture. 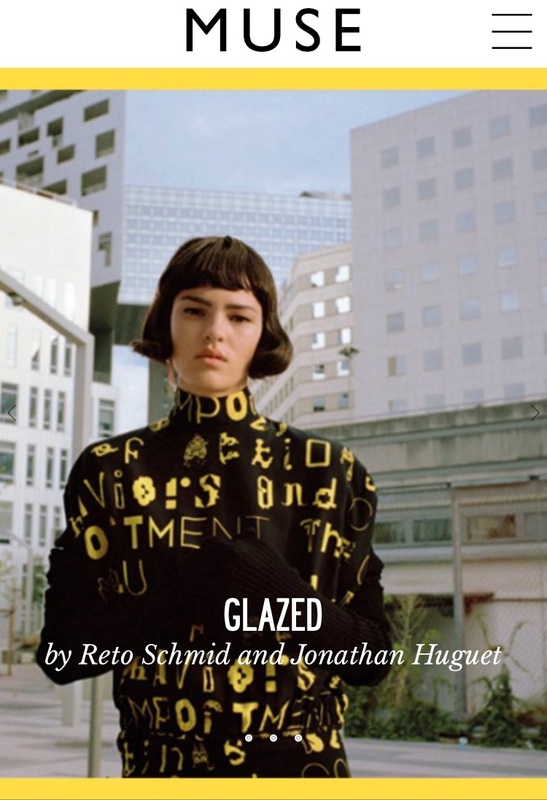 The intelligent and cutting-edge approach of ZOO sets the magazine apart from the mainstream, highlighting avant-gardist personalities and themes in an extraordinary, eccentric way. 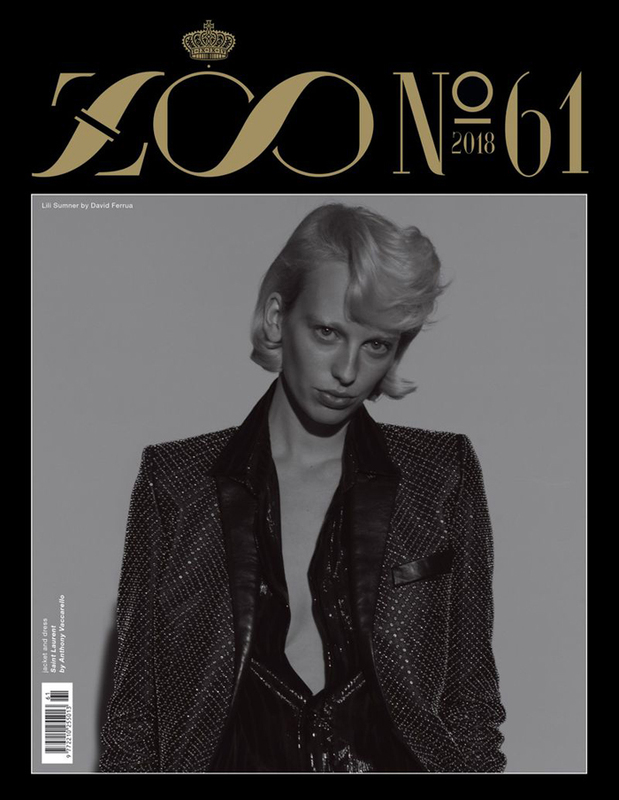 Cesanamedia has been the exclusive representative for ZOO Magazine in Italy since 2003. 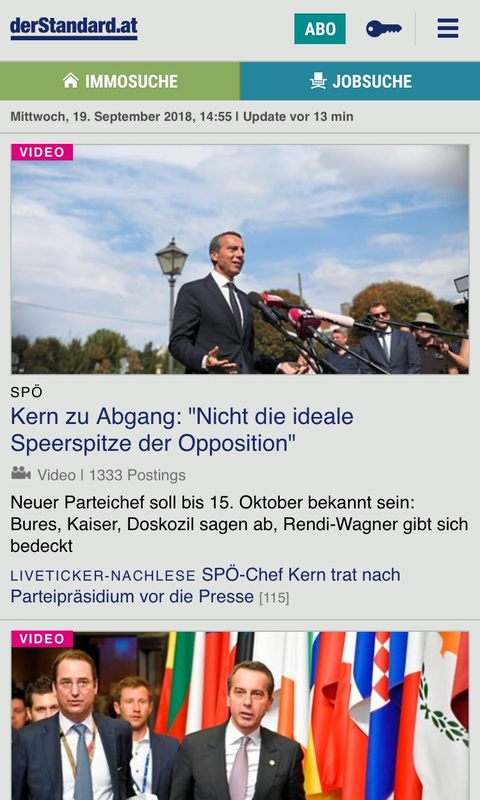 SZ.de is one of the leading online news portals among Germany’s quality media. SZ.de is a portal with news and analyses, columns and opinion pieces by well-known authors. Together with in-depth background reports and guides, financial calculators and knowledge tests, SZ.de offers its users plenty of added value. 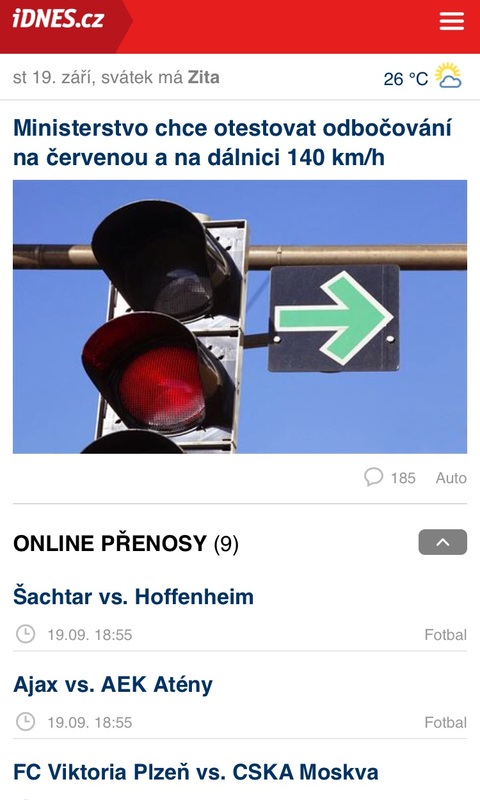 SZ App is more than the digital adaptation of the print edition. It offers not only the usual current news reporting, but also exclusive photo galleries, video and audio contributions. 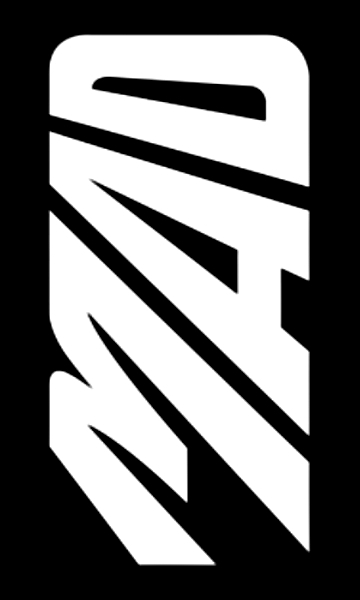 Published since 2003, Zoo Magazine is a lifestyle magazine targeting the German and international, men’s and women’s public. It aims to be a state-of-the-art, leading manifesto for creative disciplines, photography, fashion, architecture, design and music. Its innovative approach ensures a niche position for the magazine. 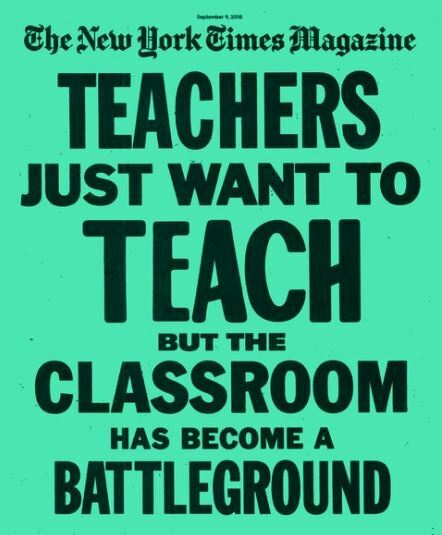 It is published four times a year. Stil Leben, line extension of Süddeutsche Zeitung Magazin, is distributed as a supplement with the full national edition of the Süddeutsche Zeitung. This exclusive publication, two issues per year, considers only the finer things of life and the most relevant and exceptional personalities, art works, trends and destinations. Stil Leben is printed on high-quality paper in a slightly bigger format than the SZ-Magazin. 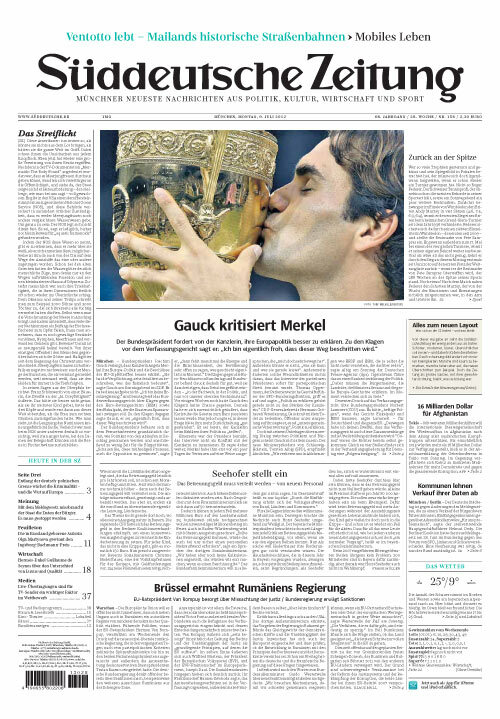 Süddeutsche Zeitung Magazin is the weekly supplement of the Süddeutsche Zeitung, the biggest-circulating newspaper in Germany. Every Friday, the SZ Magazin inspires its readers with creative journalism on the highest niveau. Süddeutsche Zeitung Magazin readers have access to an outstanding blend of thoroughly-researched reports and profiles, poignant interviews and visually enticing reports, photos and illustrations. 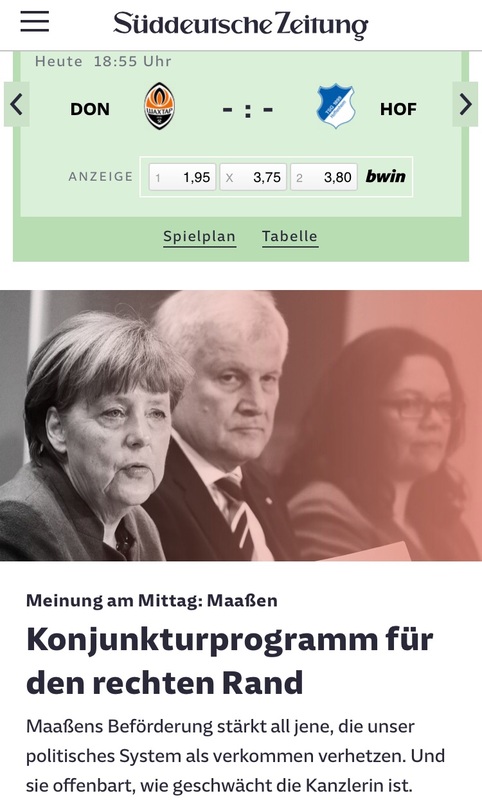 SZ-Magazin provides also first-class entertainment. The Süddeutsche Zeitung was founded in 1945 in Munich. It is the leading daily in reach and by paid circulation among the national quality dailies. Süddeutsche Zeitung is an opinion leading newspaper providing in-depth and quality journalism. Multiplier, cosmopolitan, innovator, trendsetter, powerful and well educated – this important target group is represented above average among the readers of Süddeutsche Zeitung. 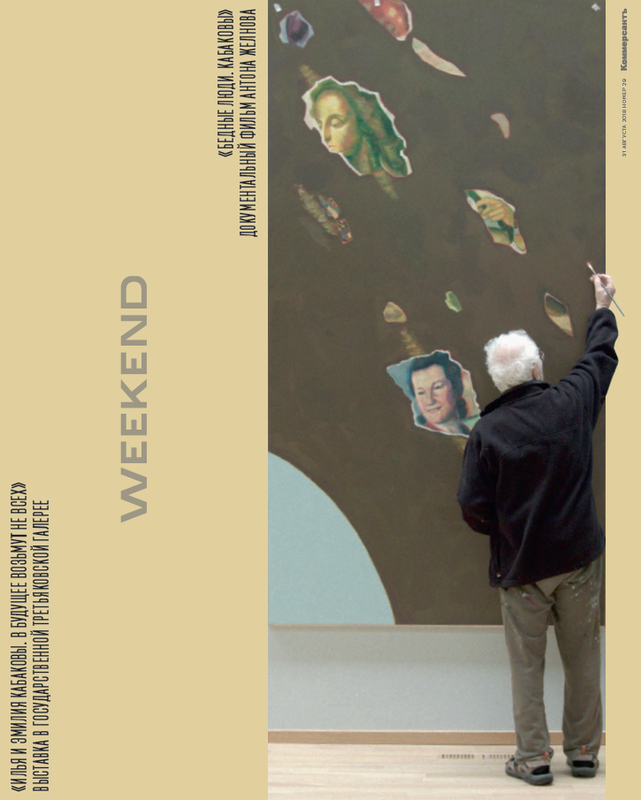 The weekend edition offers additional sections with long-term studies and subtle entertainment. The SZ Magazin is its qualitative weekly supplement, out on Fridays. Created in 1998, idnes.cz is the most visited website in the Czech Republic. It is a general-information portal, with in-depth researches and special audio/video contributions. Cesanamedia has been the exclusive representative for Dnes in Italy since 2008. 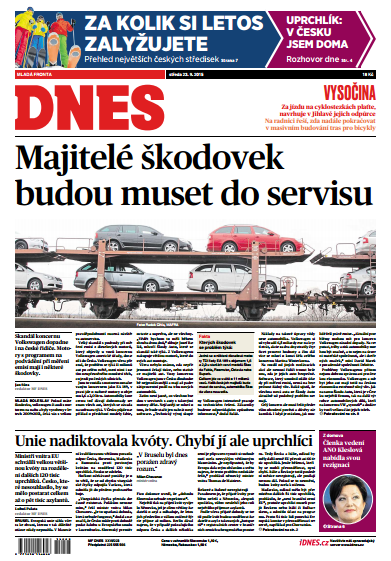 Dnes is the most widely read daily newspaper in the Czech Republic, with a strong concentration of readers in Prague, and in general has an educated readership with strong purchasing power. The lifestyle supplements Magazíne Dnes and Ona Dnes are published weekly. Patek is a focus magazine on current affairs, politics, economics, culture and society. It offers readers detailed research on Czech society, with exclusive interviews to the most important celebrities from the show-business. Cesanamedia has been the exclusive representative for Patek in Italy since 2008. This is the monthly supplement of Lidové Noviny dedicated to fashion, design and lifestyle, and it features an attractive graphic layout. Founded in 1893, the daily Lidové Novinywas banned during World War II and under the Communist regime. 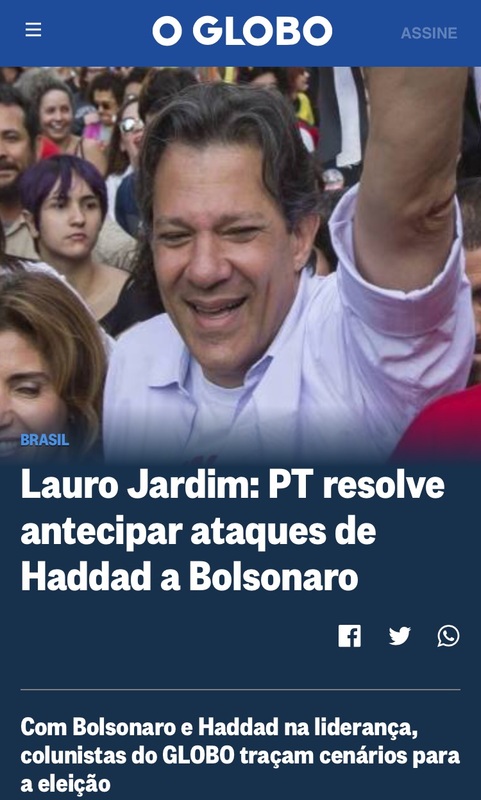 It came back thanks to the commitment of a group of dissidents after the Revolution, and is now the second most widely read newspaper in the country. It is a quality, democratic and independent newspaper with an eye on foreign politics and culture. 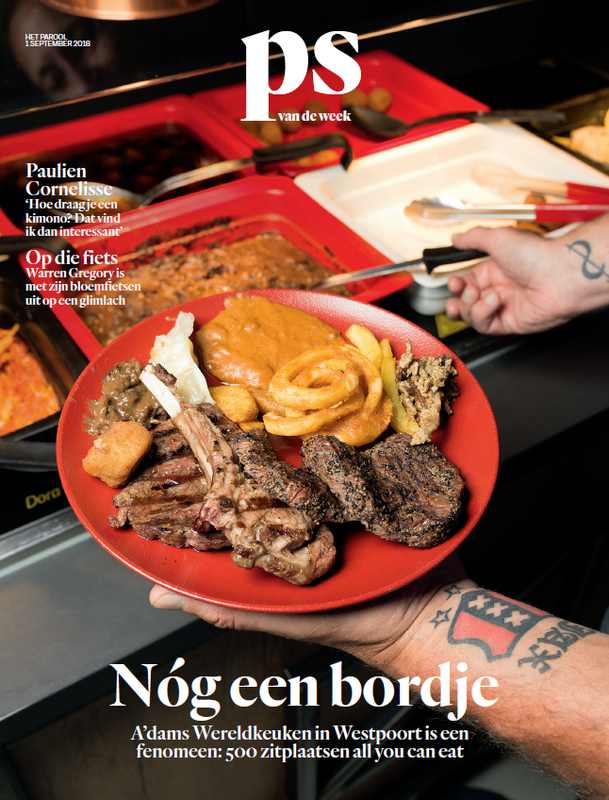 Dag Allemaal is the only family magazine in Flanders that is so close to its readers. “Honest and sincere” are the two key concepts at Dag Allemaal. Every week, there are gripping stories from the lives of well-known and less well-known personalities in Flanders. Feel good stories alternate with drama. Readers identify with their idols and create a strong bond with them. Dag Allemaal offers a weekly positive escape. 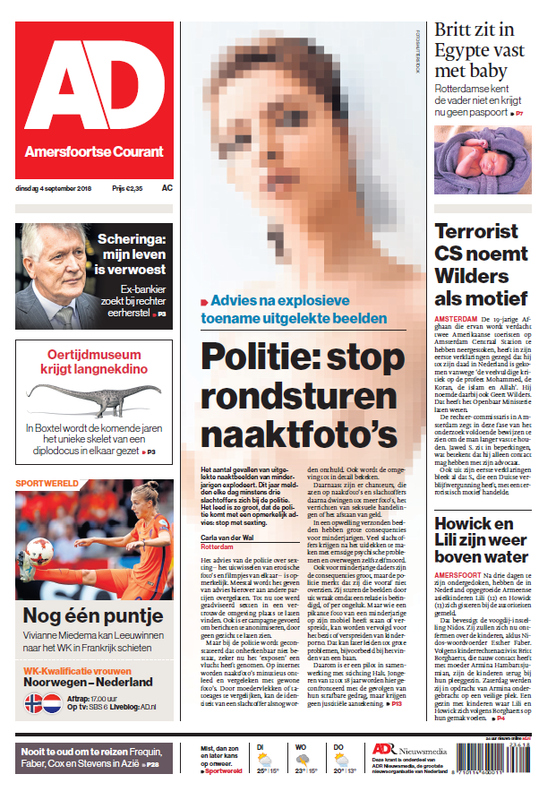 Nina appears with the Saturday edition of the newspaper Het Laatste Nieuws, but has shaped its own personality. Readership (women) is between 30 and 35 years of age. A typical reader combines her family with a satisfying job and a rich social life. She is very active, curious and a trend follower. 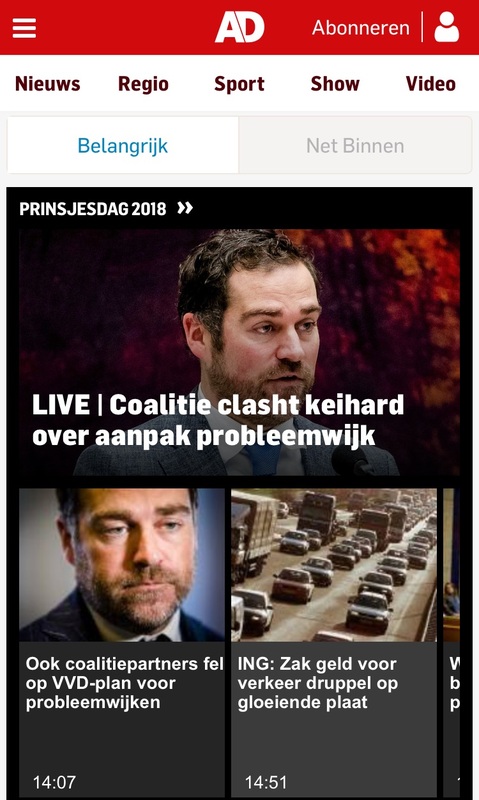 Hln.be is the official website for Het Laatste Nieuws. It is the biggest news portal site in Belgium. And it offers news-driven content on everything that is happening in Belgium and abroad. The site is divided into editorial channels ranging from foreign news to sports and showbiz. 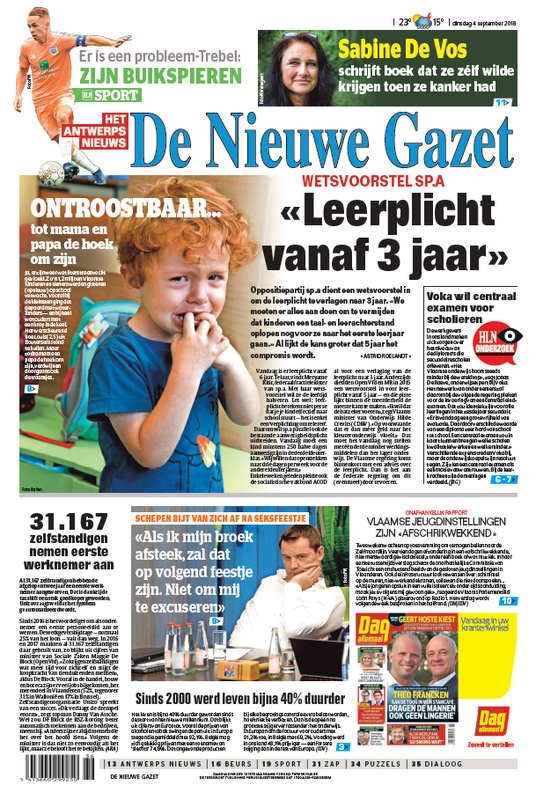 With over one million readers, Het Laatste Nieuws is the undisputable number one among Flemish dailies. 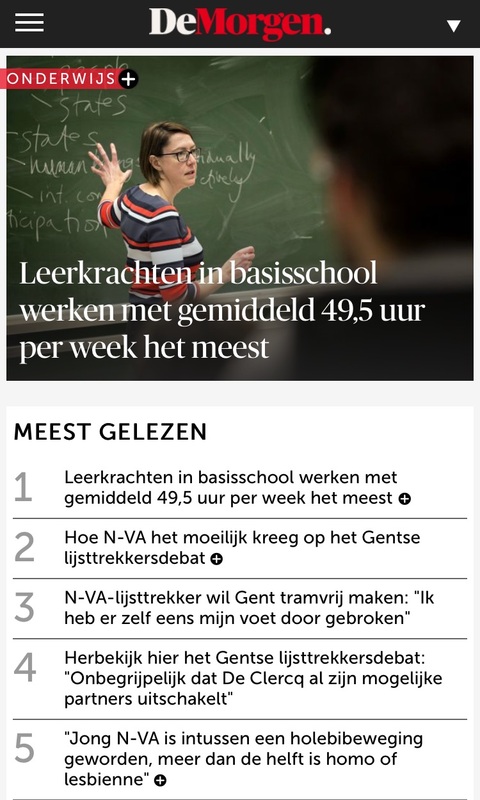 Day after day, Het Laatste Nieuws offers a balanced selection of national and international news that broadens the reader’s view. The newspaper also presents a considerable portion of local reporting at all levels, from municipal policy to the local sports results. 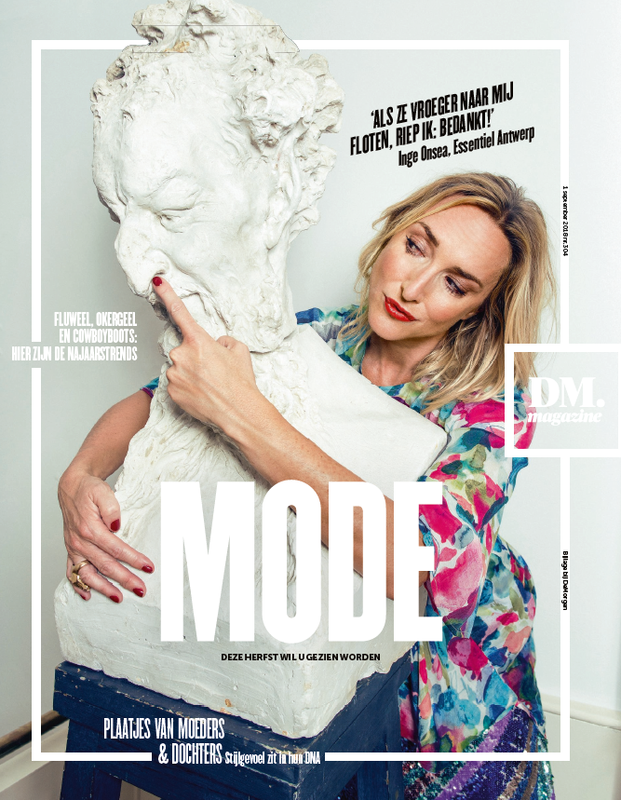 De Morgen Magazine carries in-depth interviews, portraits, reports and outstangind images. A ‘must-read’, signed by popular journalists in Belgium. Demorgen.be is the official website for De Morgen newspaper. Main sections are current affairs, culture, music and opinion, with an open-minded and international perspective. The audience of demorgen.be is upscale urban professionals, surfers in a management position and with discerning minds. 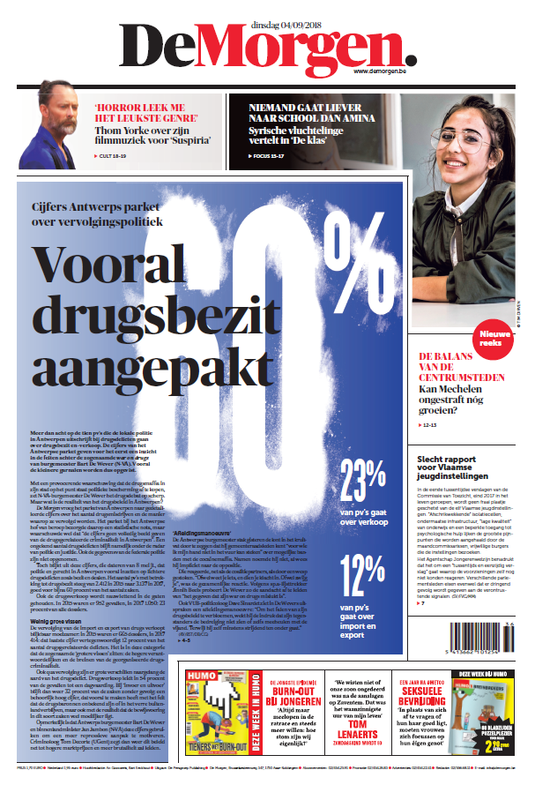 De Morgen is one of the most popular newspapers in Belgium. Founded in 1978, the newsppaper offers fine quality contents focusing on economy, finance, culture, society, technology, sports and lifestyle. 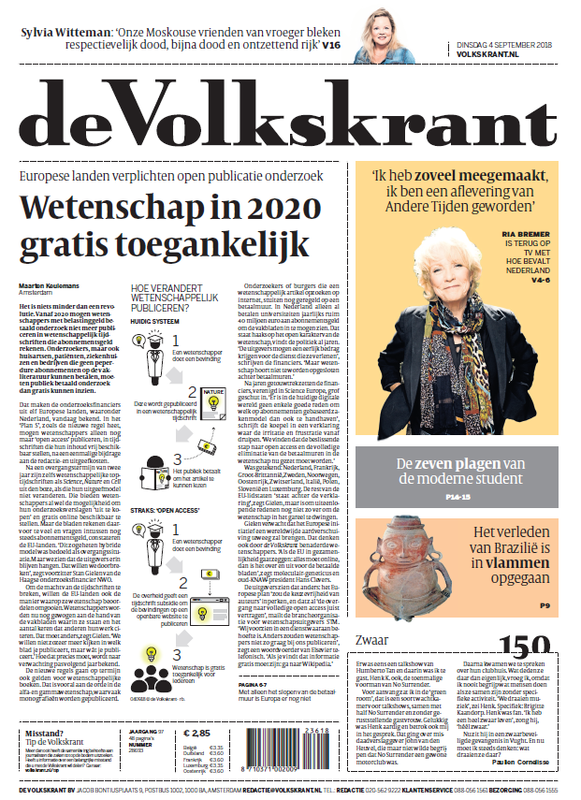 De Morgen is a newspaper for open-minded people, eager to know about current world affairs and who enjoy good things in life. De Morgen has its Saturday supplement, quality magazine De Morgen Magazine. Since 1995 derstandard.at is the most important website in the Austrian market. Open Haus magazine explores the main facts from the fields of architecture, design and interior decoration. The aim of the magazine of Der Standard is to go in depth on where some popular Austrian people live and in which context. It follows up these and other questions, based on entertaining reports and interviews. Cesanamedia is the exclusive representative for Der Standard in Italy since 2005. 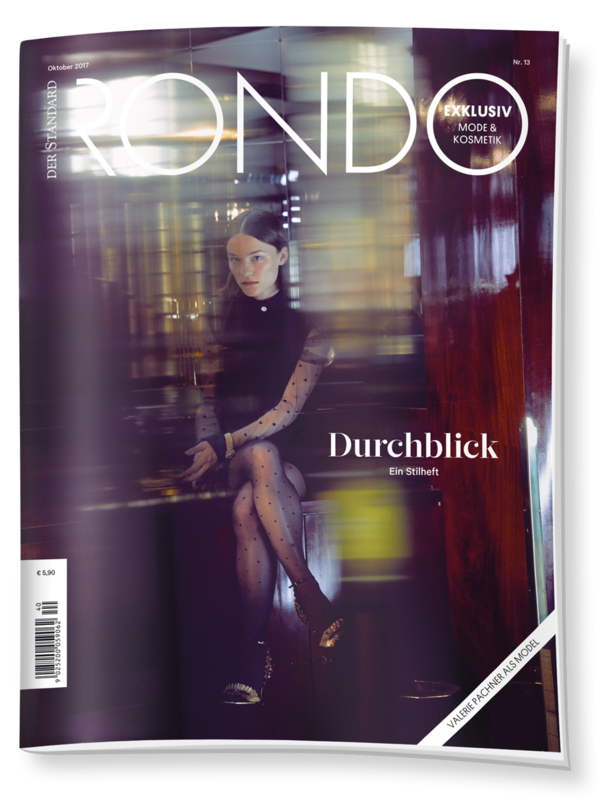 Rondo Exklusiv is the magazine dedicated by Der Standard to luxury, design and high-end fashion. It is published three times per year and its graphic layout is glossy and refined. 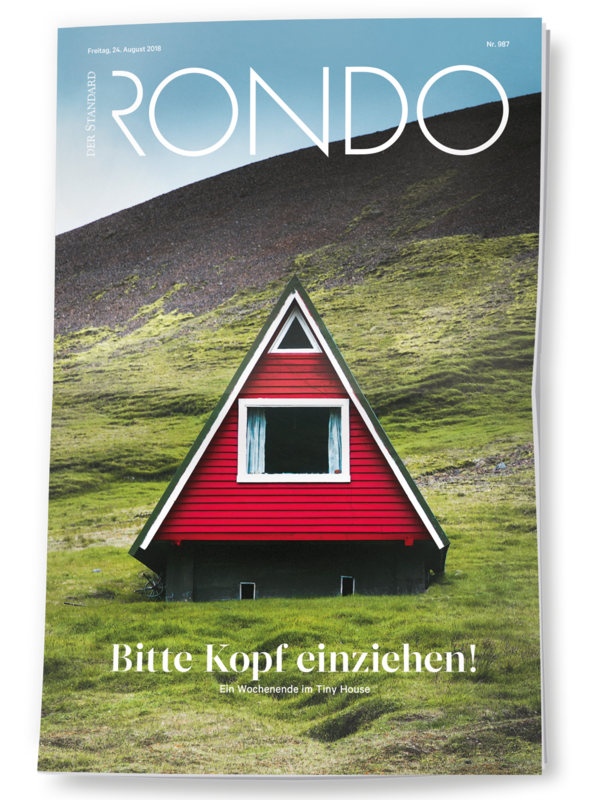 Rondo is Der Standard’s outstanding 4-colour – throughout – glossy supplement. 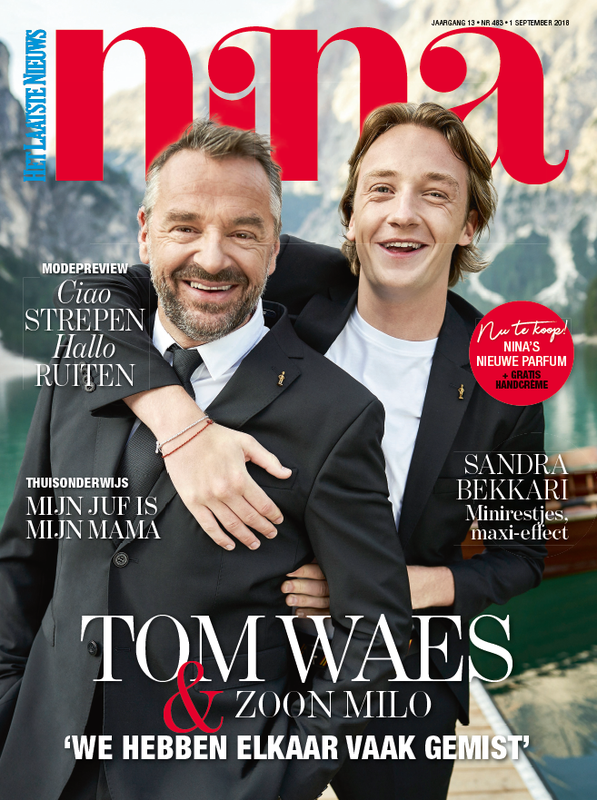 It is one of Austria’s leading life style publications with an editorial emphasis on design, travel, fashion, cosmetics, high-tech and culinary experiences. Der Standard is an Austrian National newspaper published in Vienna. The first edition was published on 1988. Main areas of attention are economics, finance and politics, with an international perspective. Austrian readers choose Der Standard for the high quality and for the rich proposal of the newspaper. 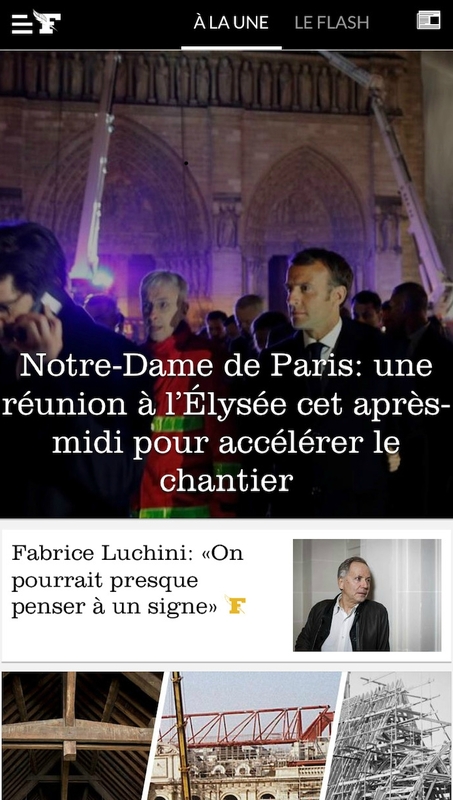 Lefigaro.fr is the first news website in France. Through four dedicated editorial teams it delivers a complete digital information on breaking news, economy, sports and lifestyle. End 2015, the French media group has acquired the digital platform CCM Benchmark, becoming the fourth player within the digital marketplace in France. The established properties of Le Figaro group together with the newly acquired digital brands, such as L’Internaute, Journal Du Net and Le Journal des Femmes, are leader in several editorial areas: economy, lifestyle, technology and sports, women and kids world. 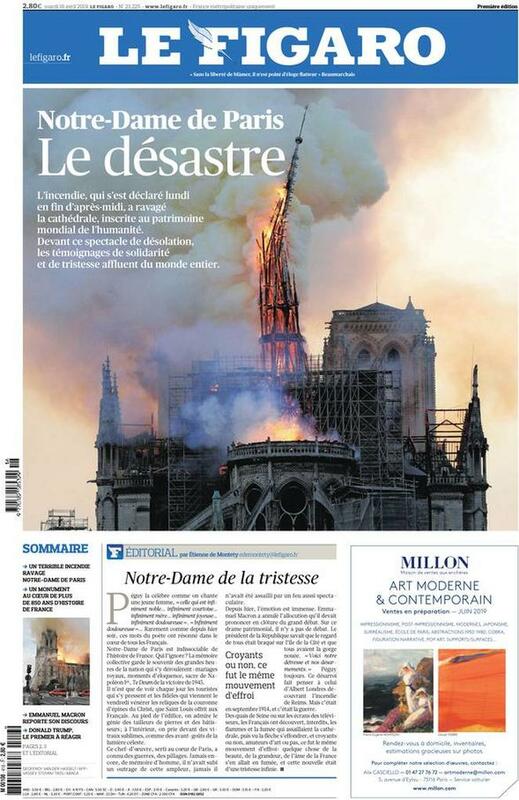 Le Figaro, daily newspaper, is circulation leader in France. It is meant for affluent people and decision-makers. Le Figaro provides 3 daily sections dedicated to Politics & Society news, Economics and Lifestyle. Le Figaro also offers additional thematic sections all along the week. It provides a true reading comfort, thanks to its berliner format, and computer graphics associated to a perfect quality of paper and a waterless greentech printing system.Strength of Figaro and the other group publications is the diffusion of content on several different digital platforms, so as to extend “Le Figaro experience”. Free supplement magazine for the female audience dedicated to fashion, beauty and lifestyle. Thanks to the quality of its editorial team and its images, Madame Figaro cultivates sophistication for entrepreneurial and influent women, in search of innovation. It is distributed as an attachment to Le Figaro. Published Fridays, 52 times a year, Madame Figaro is available on several digital platforms and devices (website, Imad, interactive and dynamic app and Madame and pdf version of the magazine). 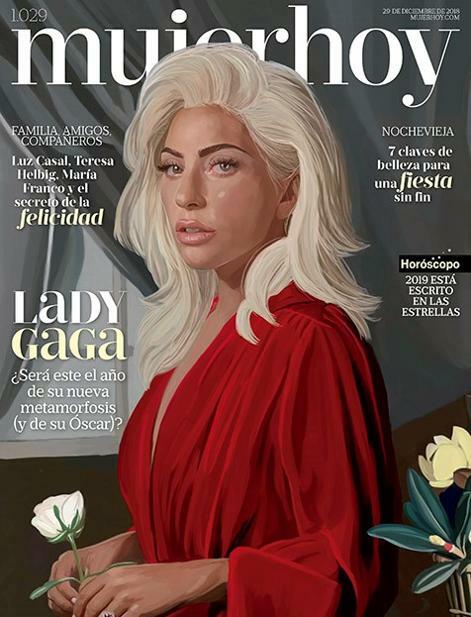 Cesanamedia represents also the international editions of Madame Figaro. 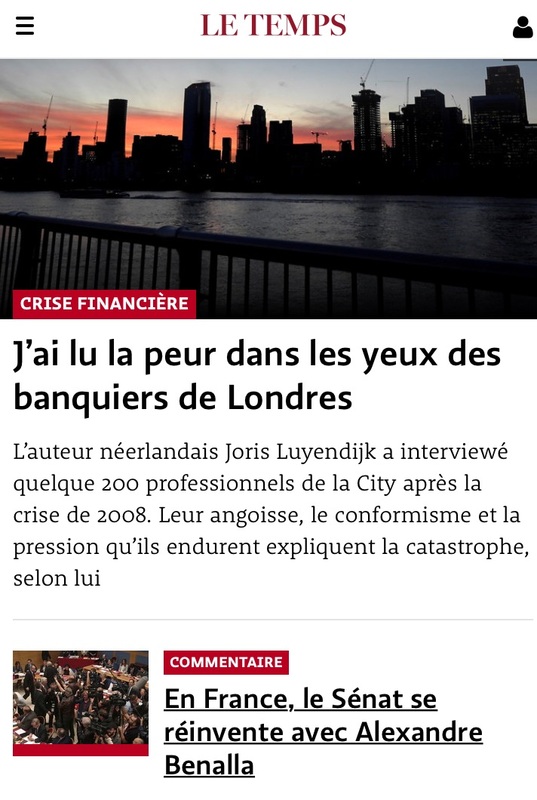 News magazine, free supplement of the newspaper, Le Figaro Magazine offers a combination of information and leisure, entertainment and reflexion, focusing on the writing skills of its journalists and the quality of its images. It focuses on culture, news, politics and lifestyle; it is distributed 52 times a year. Launched in 2018, MAD is a video channel combining the expertise on fashion of Madame Figaro editorial team and on the social platforms of the in-house agency Social&Stories. It is a pure video player, broadcast on key social media platforms (Instagram, Youtube and Facebook) and on Madame Figaro site. It targets young affluent groups, MAD about fashion, pop culture, arts and music, with a millennial approach and behaviour, extremely familiar with social media. MAD is sassy, creative and vertical to better suit the format of the video content. F is the monthly supplement magazine exploring the “The art-of-living” with the unique touch of Figaro group. Redisigned in 2018 and doubling the issues per year, F covers a rich variety of topics thanks to the contribution of over 300 journalists from the whole French media group. 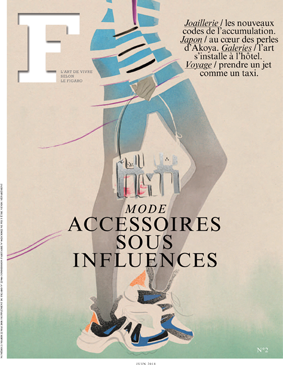 F focuses on the way-of-living and on art-of-living altogether, from culture and arts to gastronomy, fashion, and design. And also on the contemporary luxury of having free time.